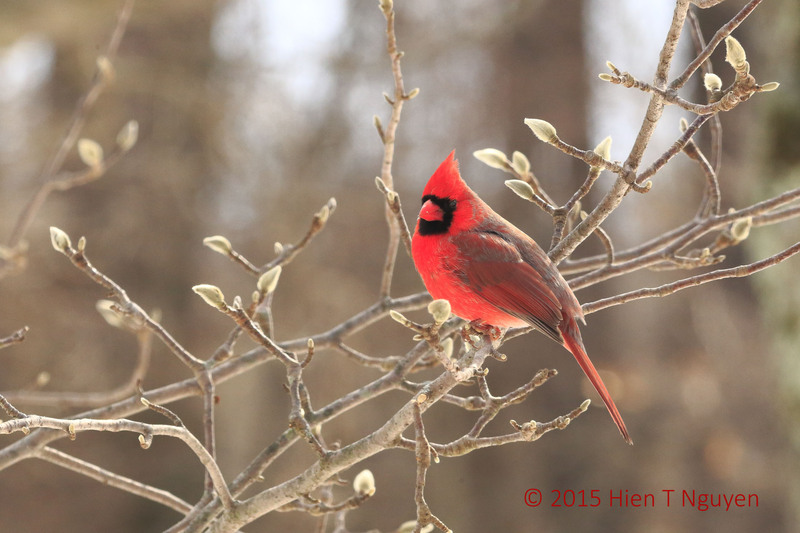 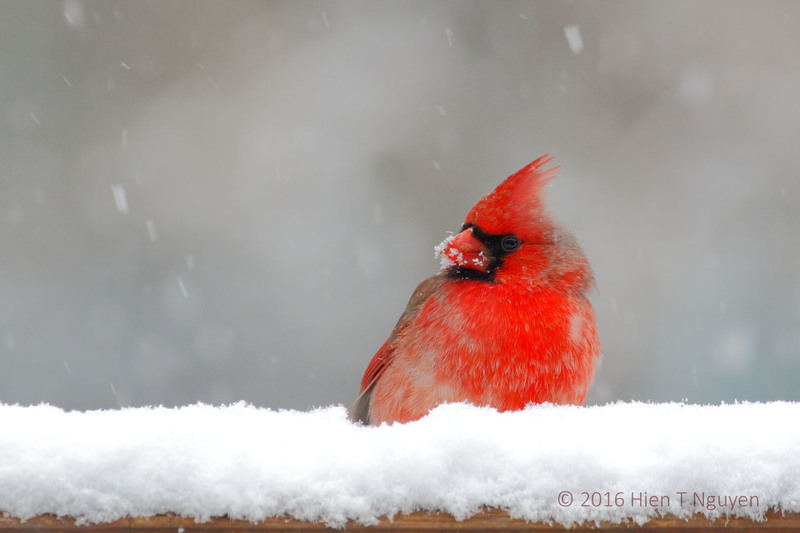 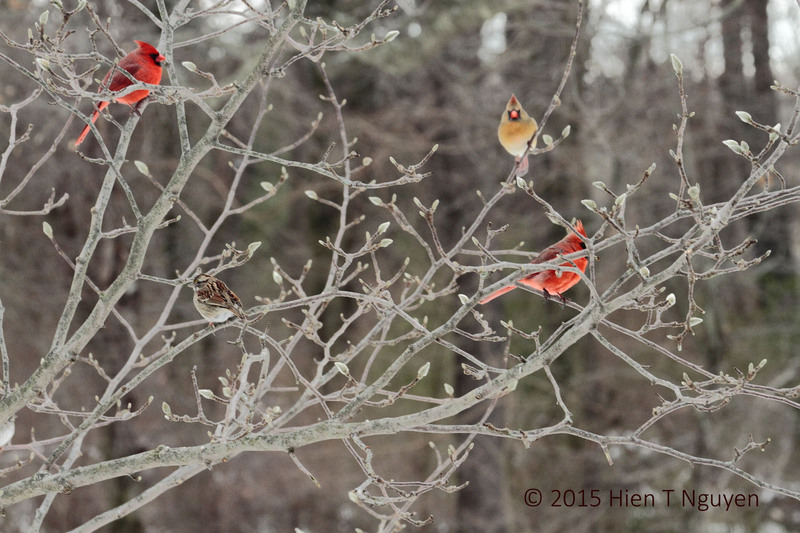 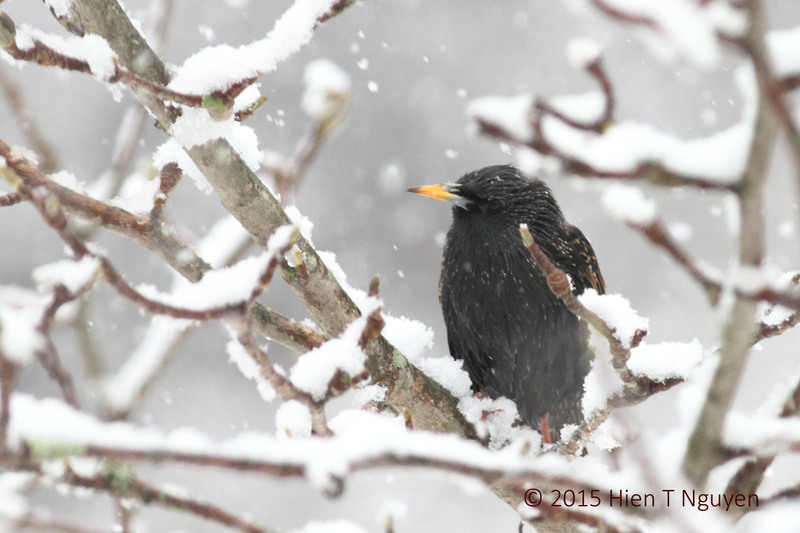 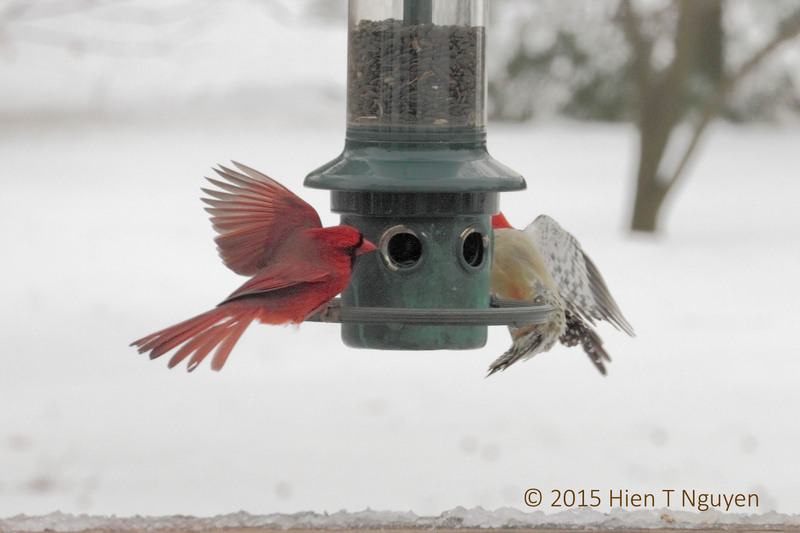 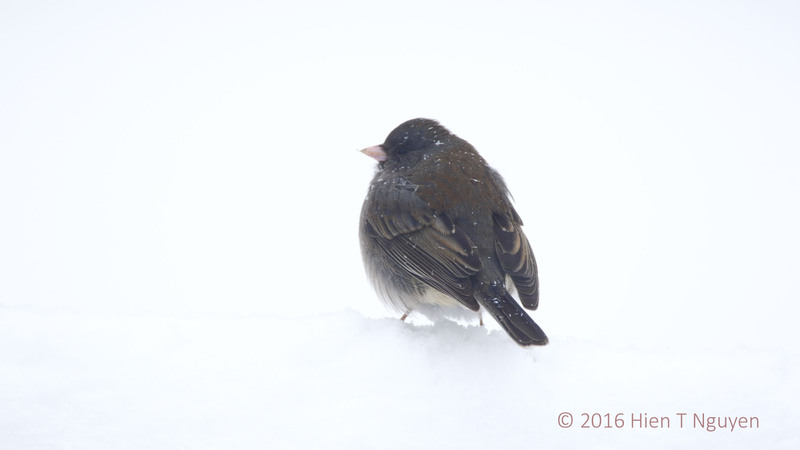 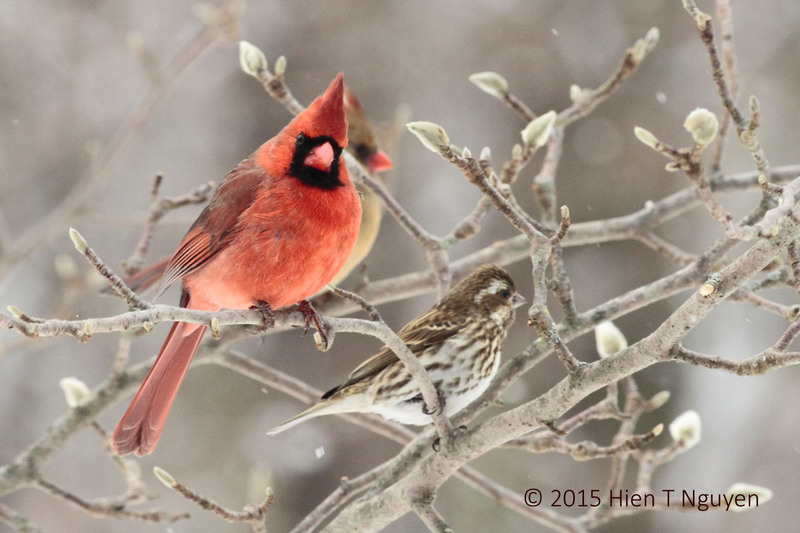 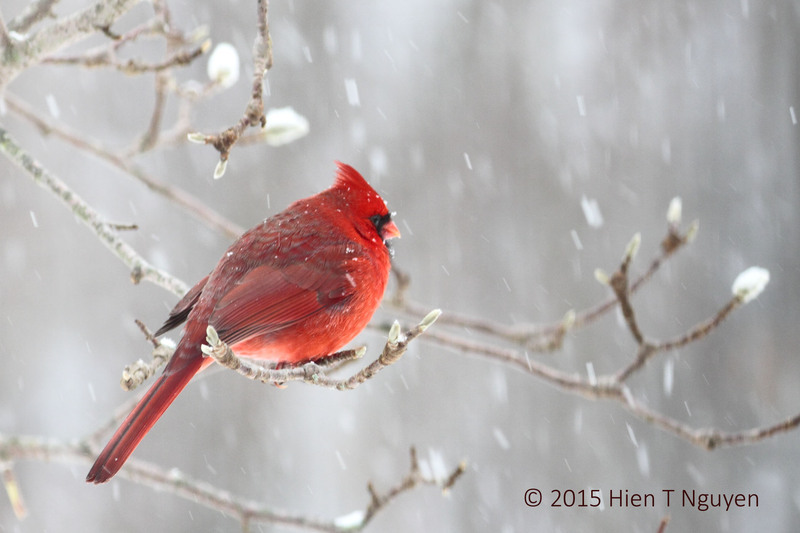 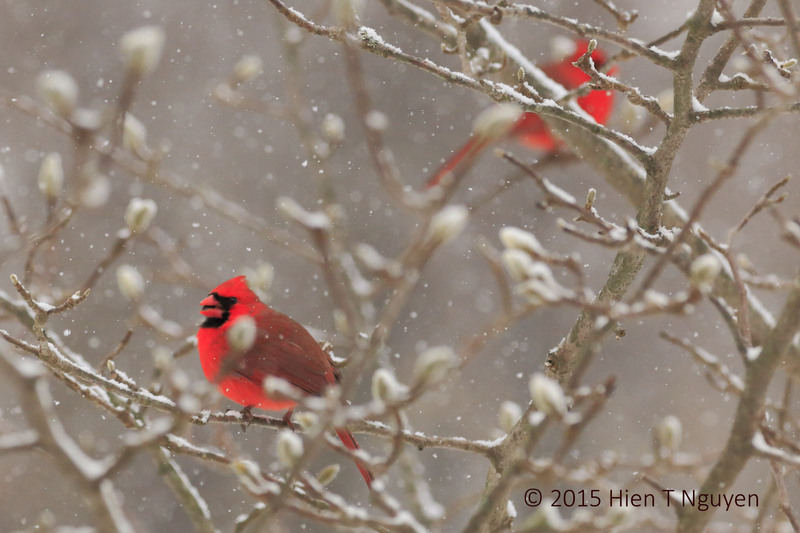 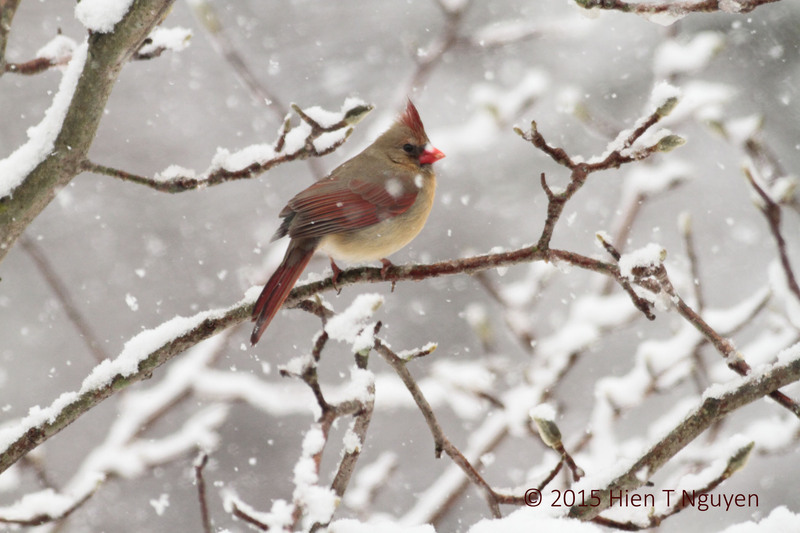 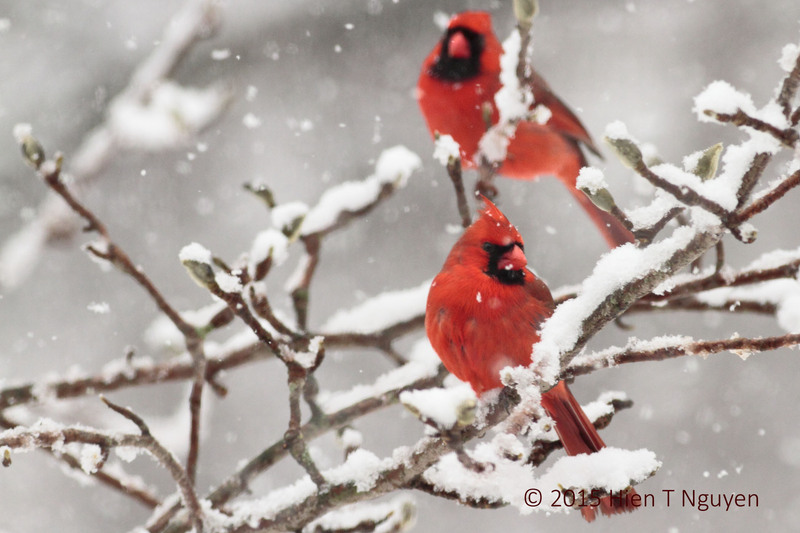 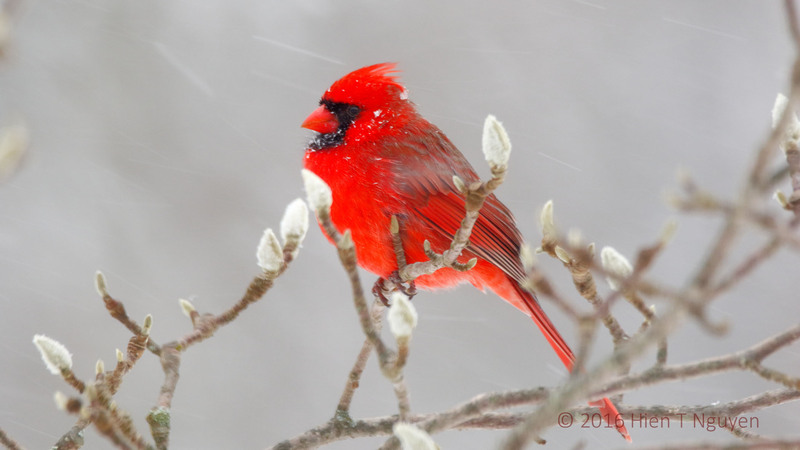 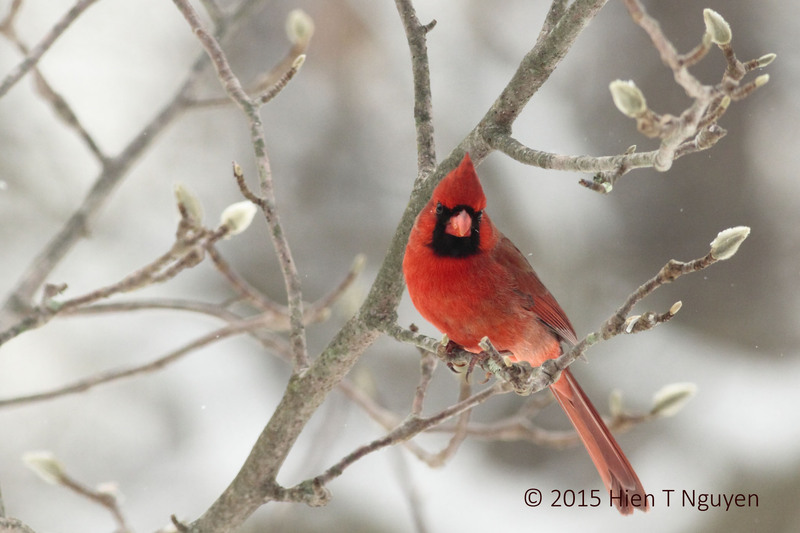 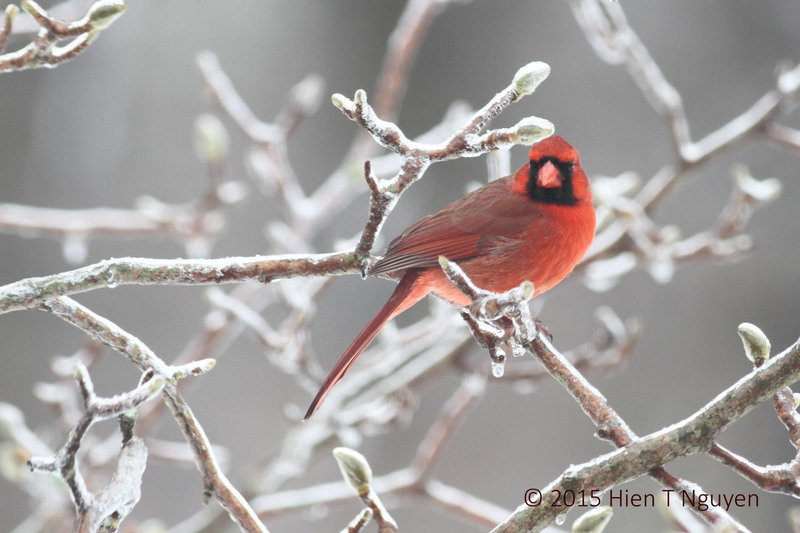 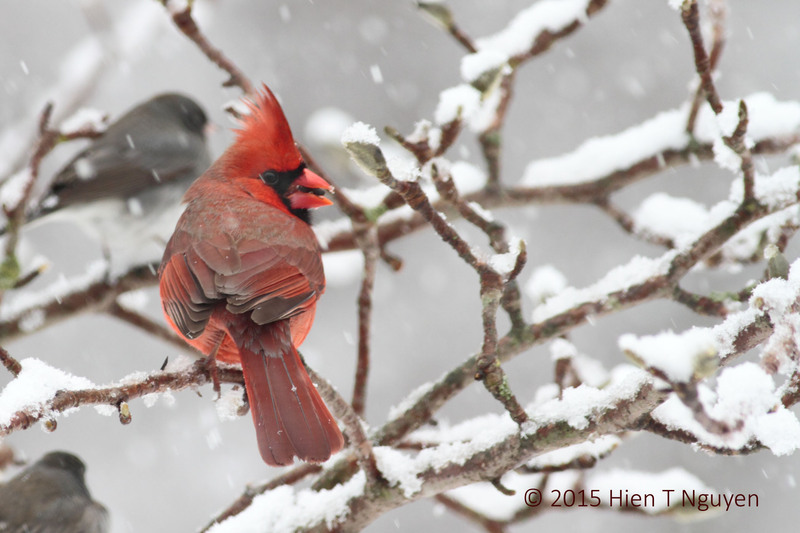 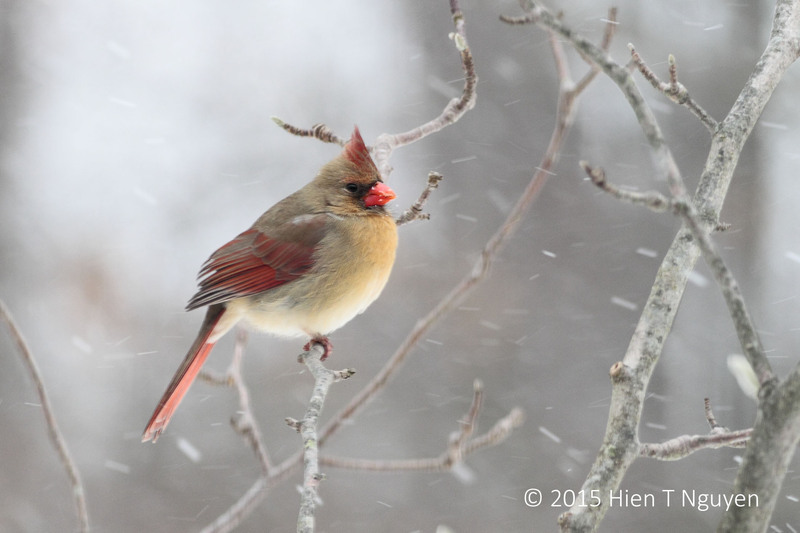 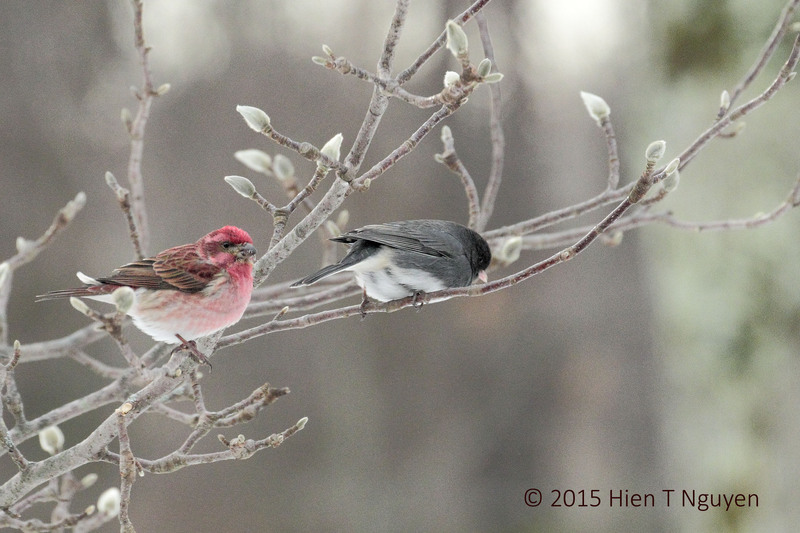 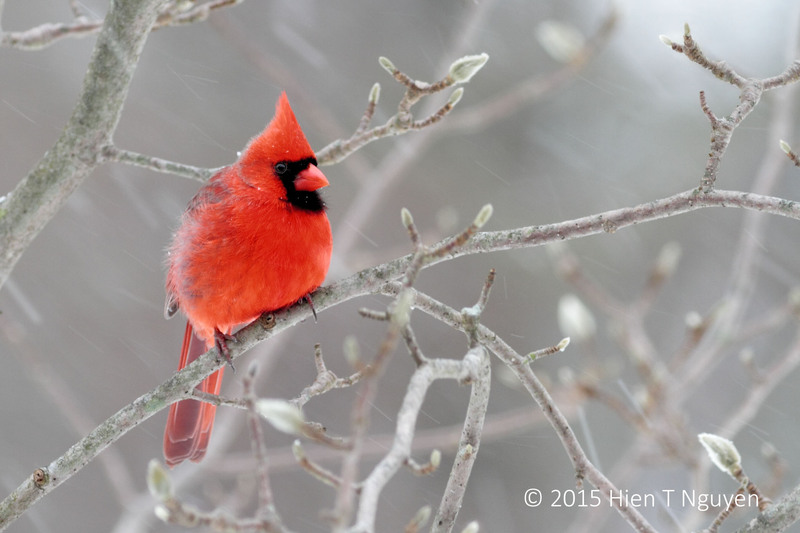 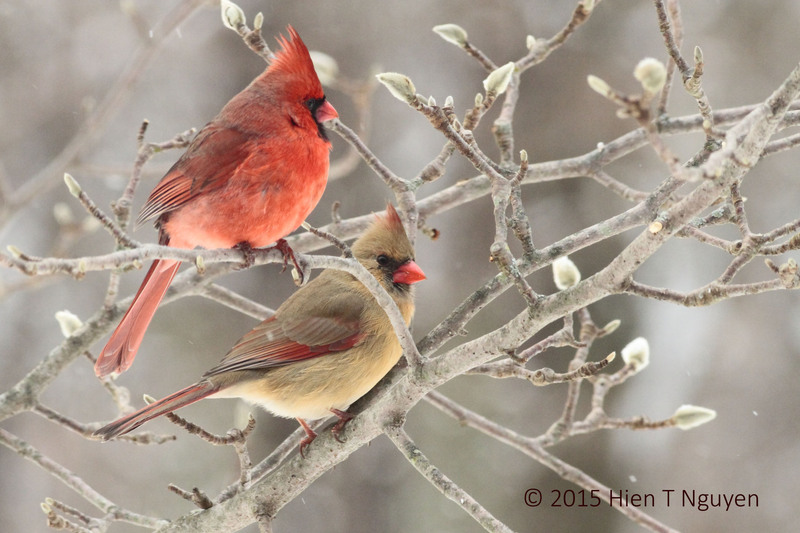 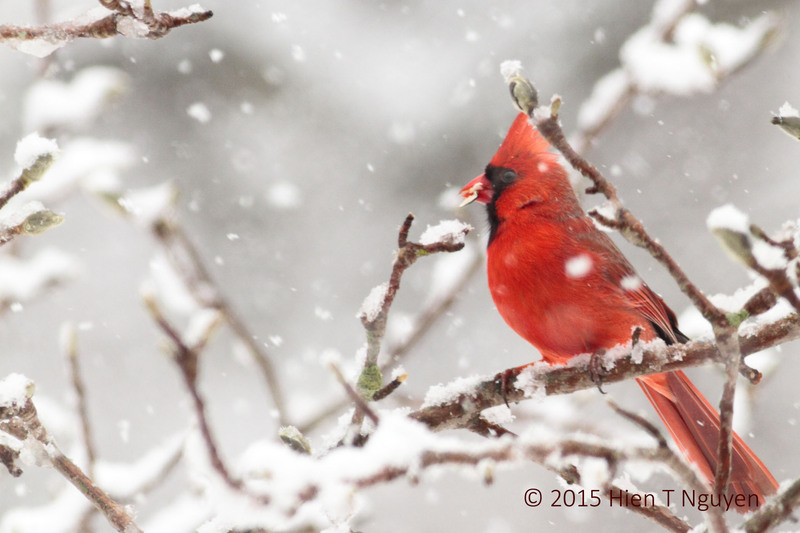 We got some more snow yesterday, not much, but enough to make the Cardinals stand out from the mostly white scenery. 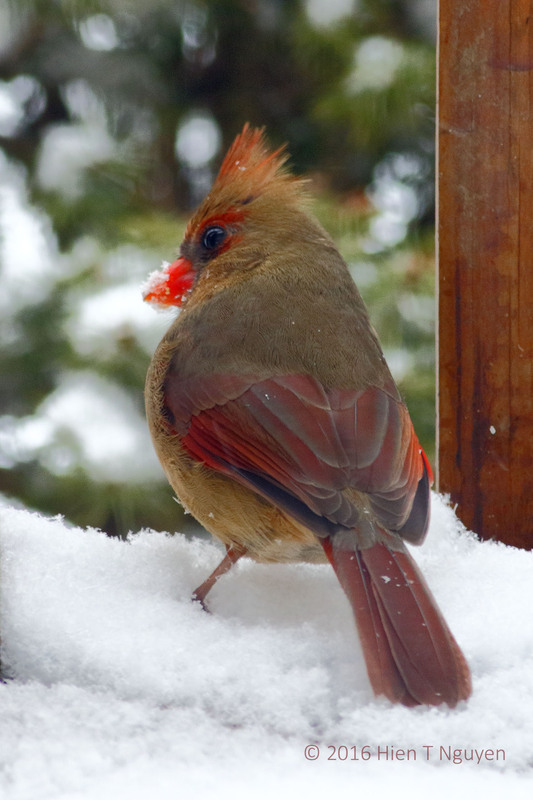 Female Cardinal in snow. 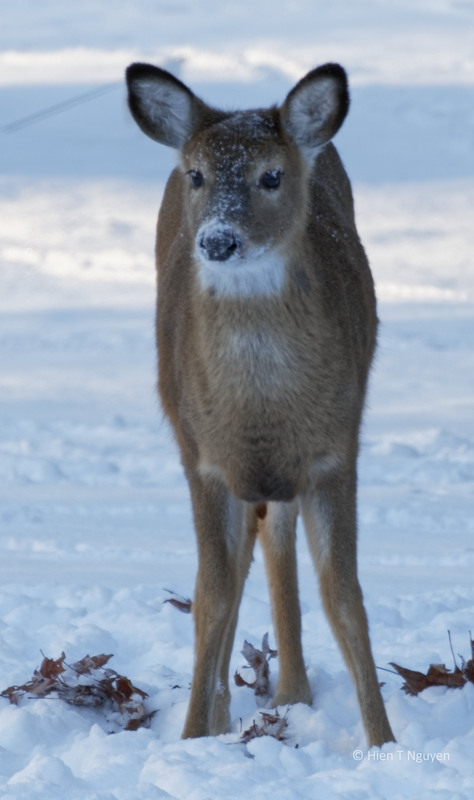 She’s a beauty. 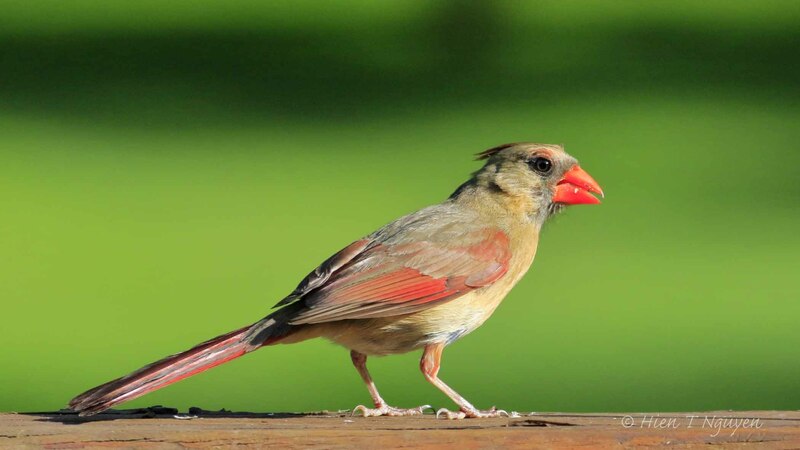 Female Cardinal. 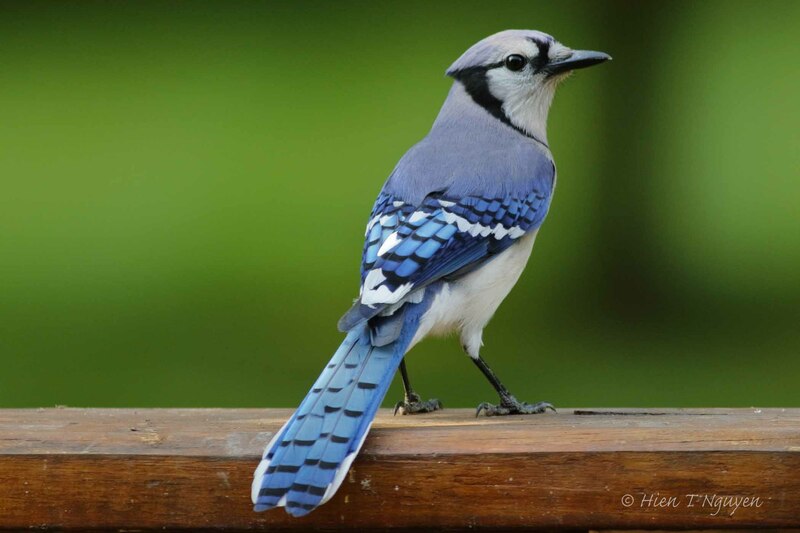 Same beauty, different angle. 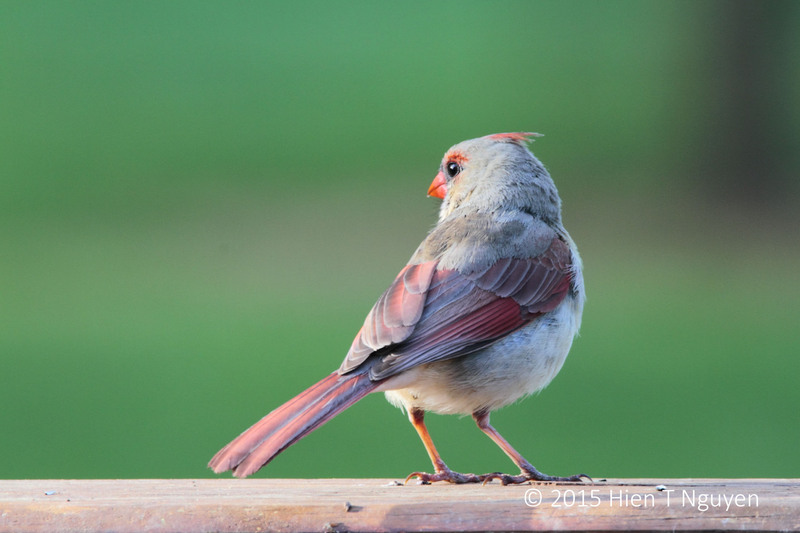 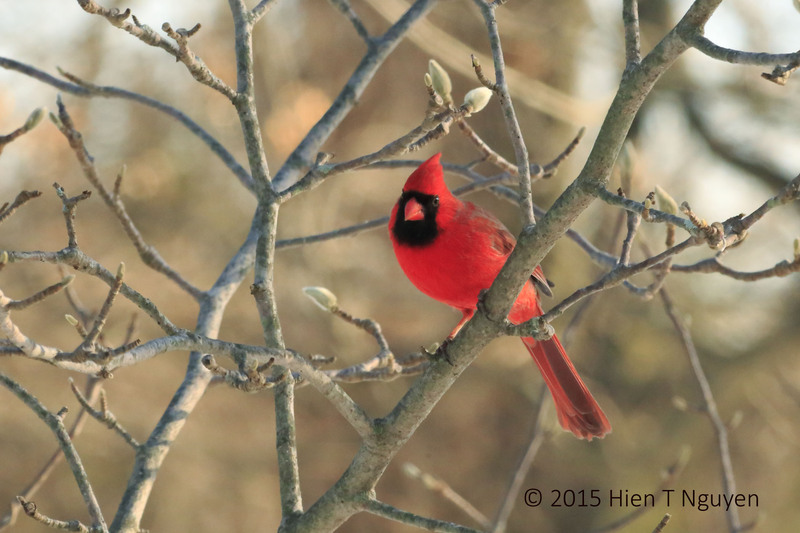 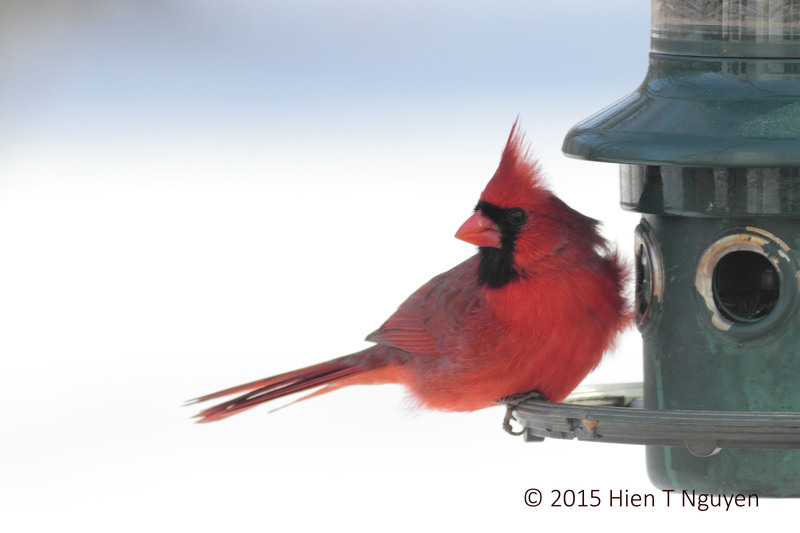 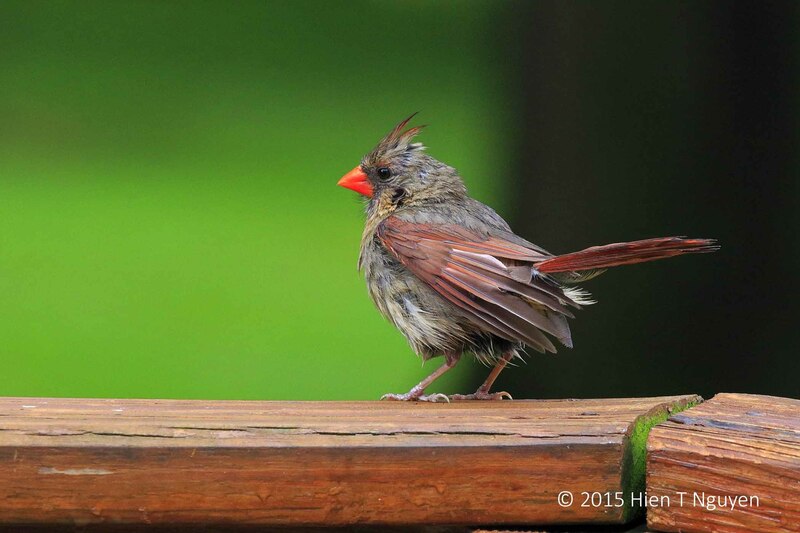 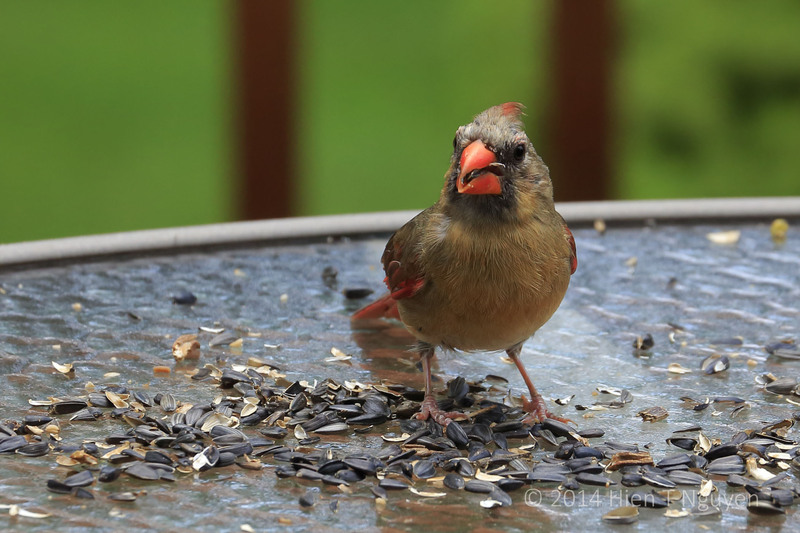 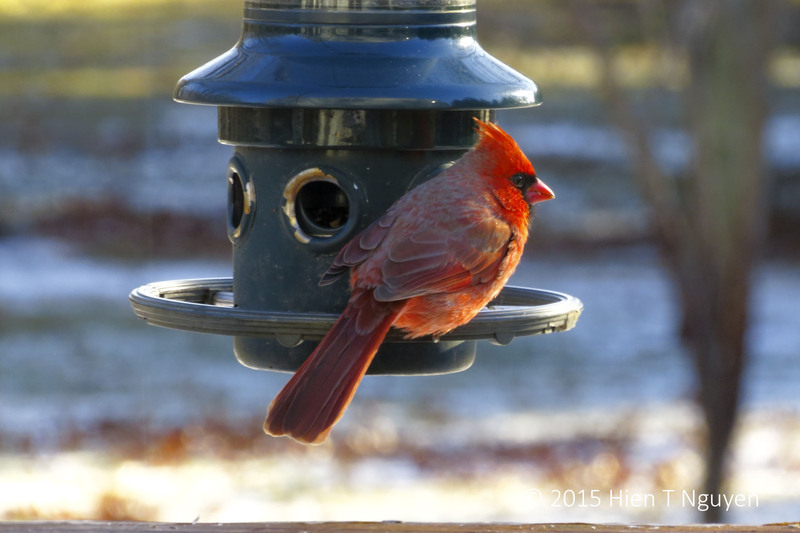 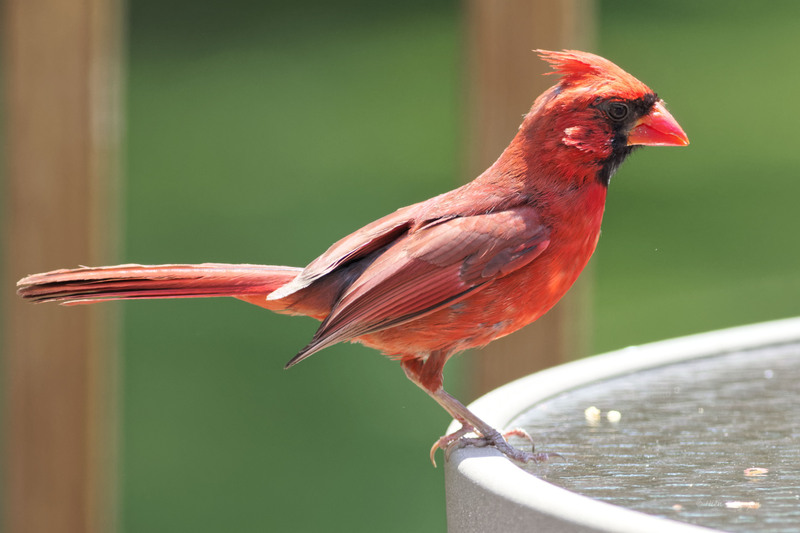 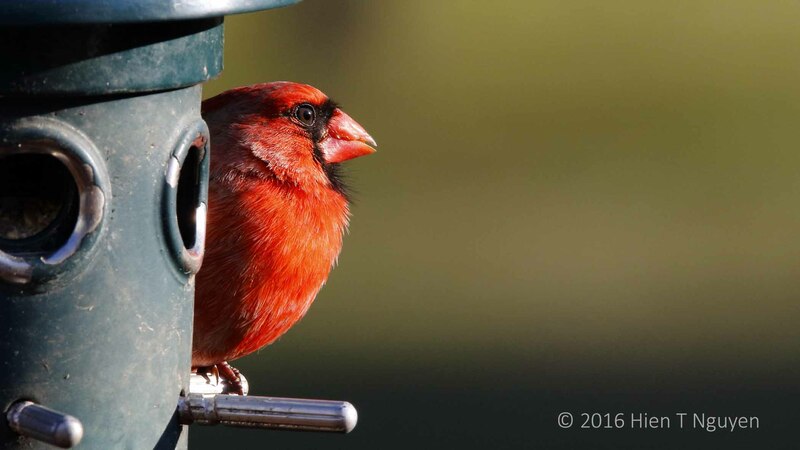 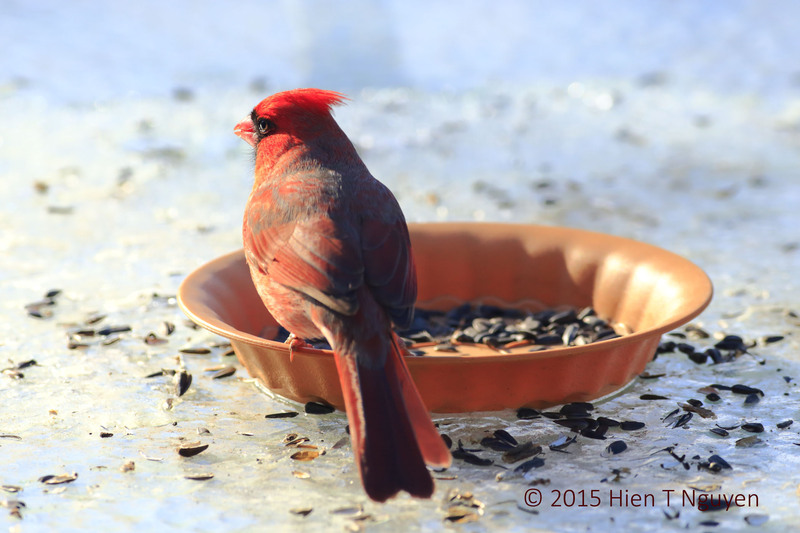 Meanwhile a male Cardinal was dining at the bird feeder, unaware of what was going to happen to him. 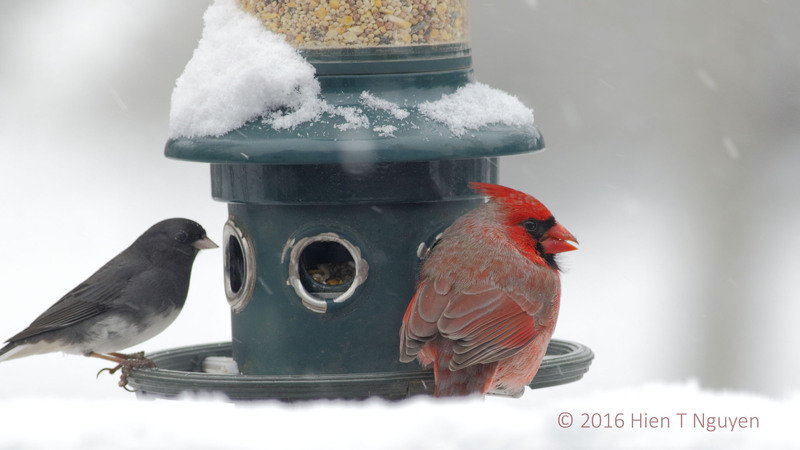 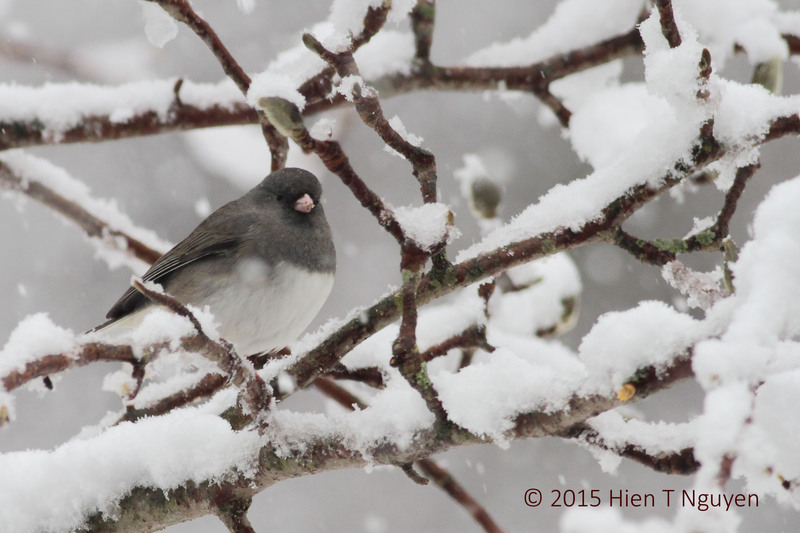 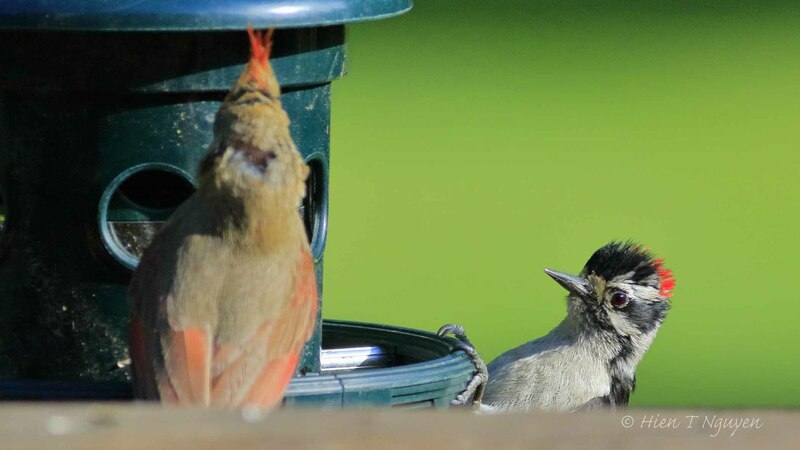 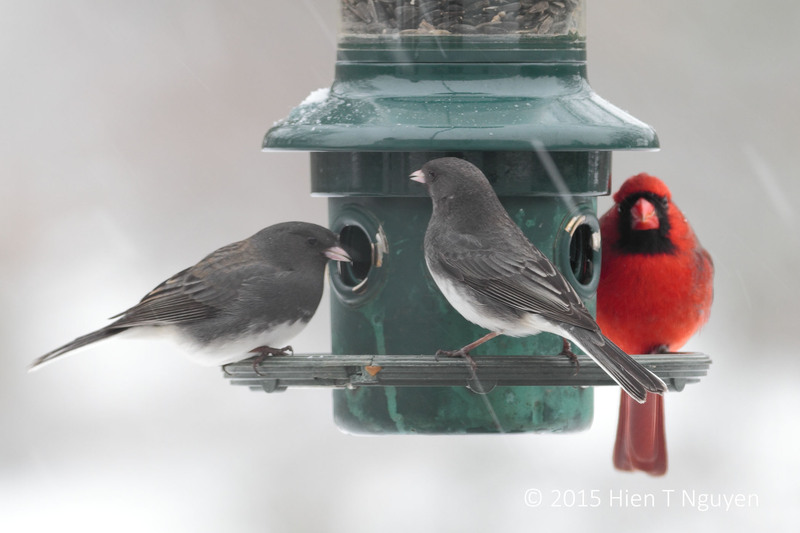 Dark-eyed Junco and male Cardinal at bird feeder. 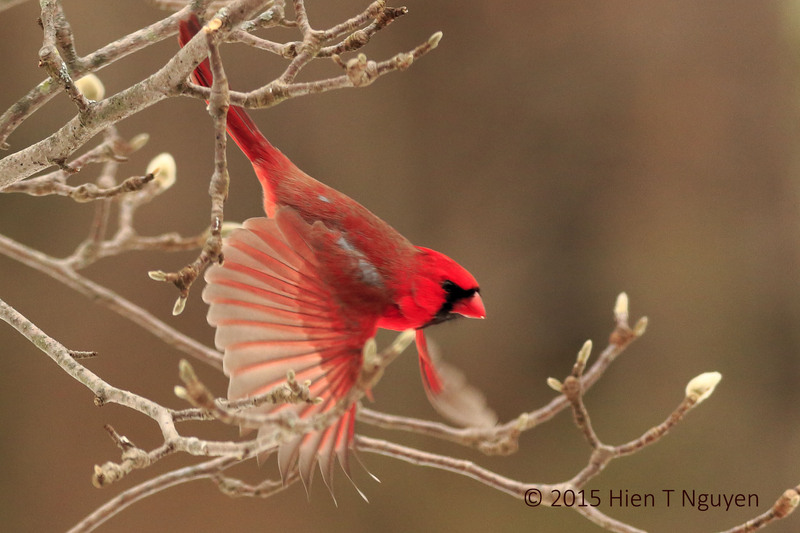 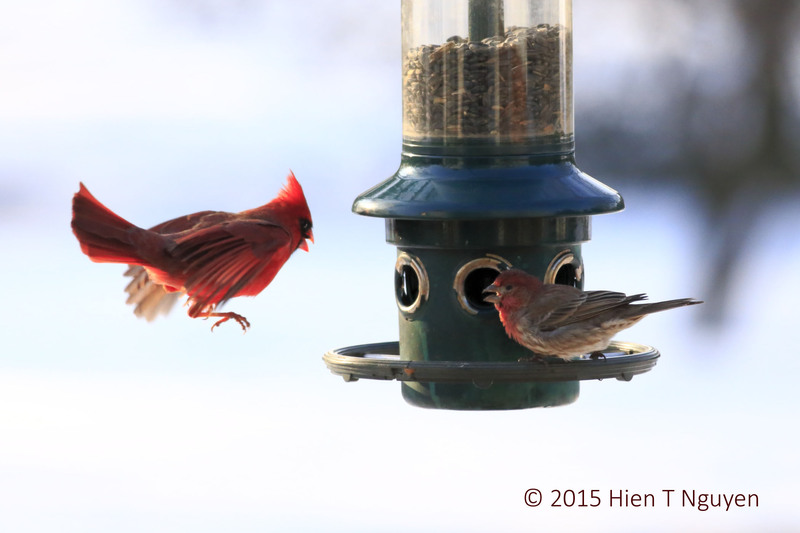 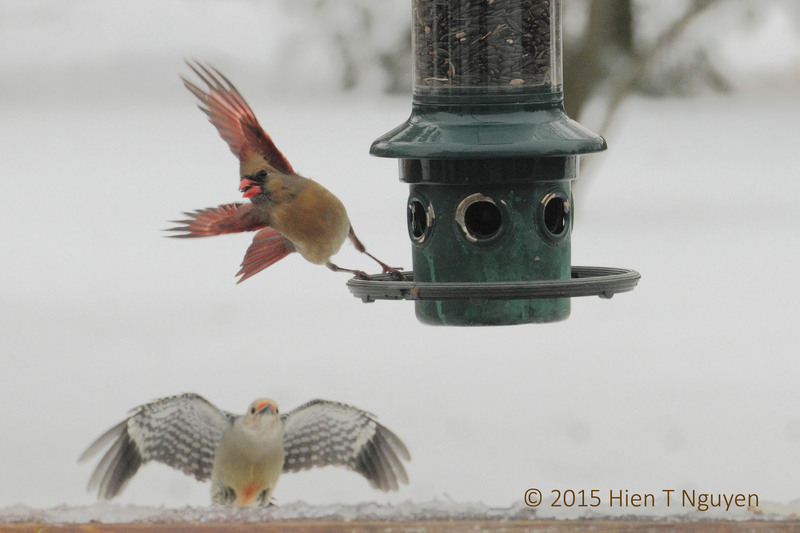 As I pressed the shutter a few seconds later, another male Cardinal streaked in, forcefully chasing him away. 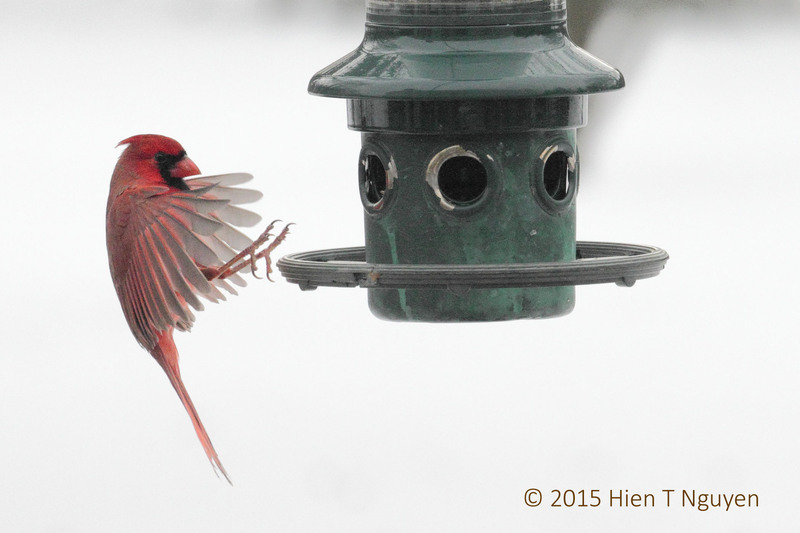 Second male Cardinal chasing first one at the feeder. 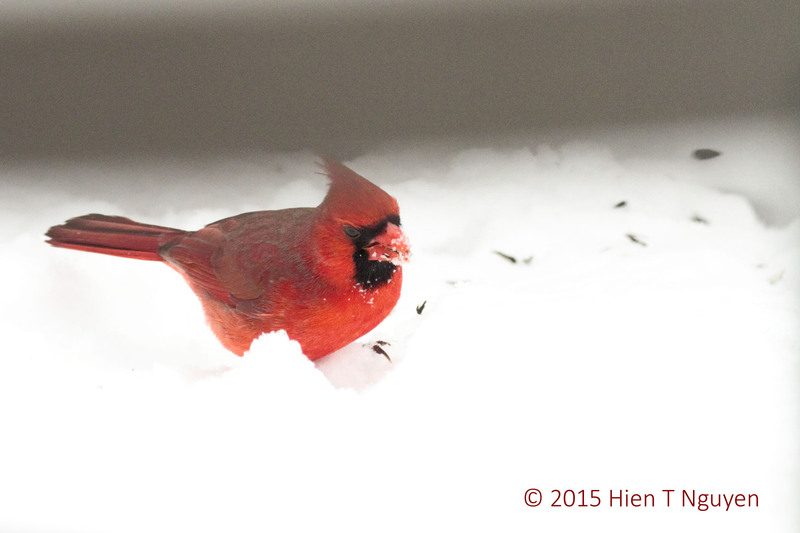 First Cardinal was reduced to picking crumbs from the snow. 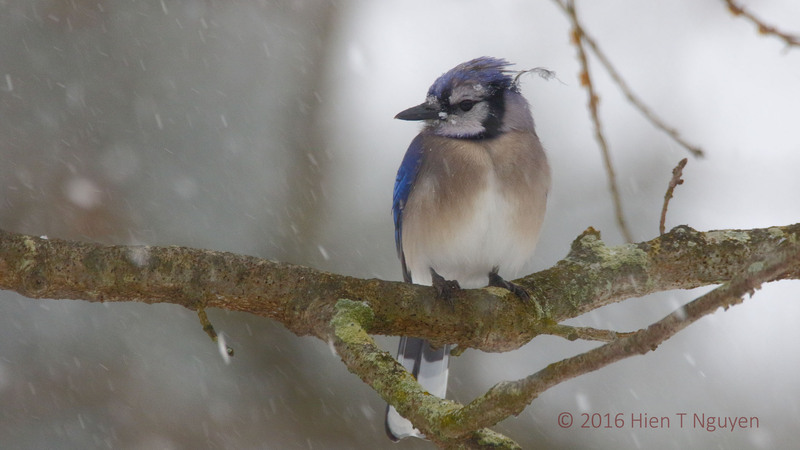 The blizzard of 2016 is turning out to be worse than predicted. 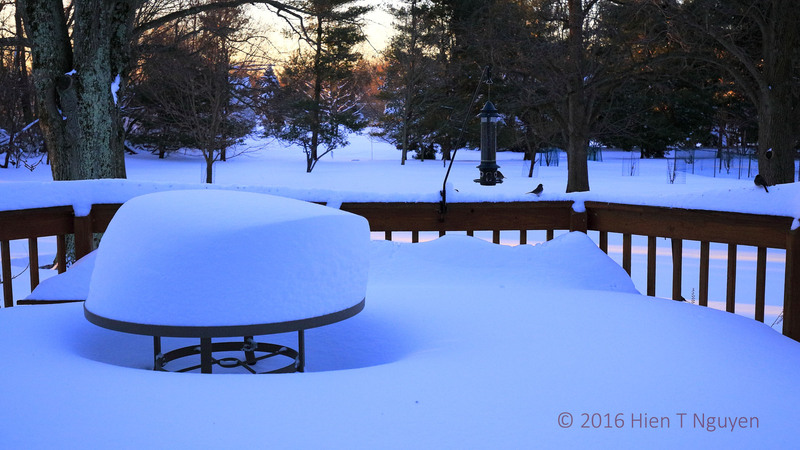 We have about a foot of snow already and it is still falling down, while the wind is blowing it all over everything. 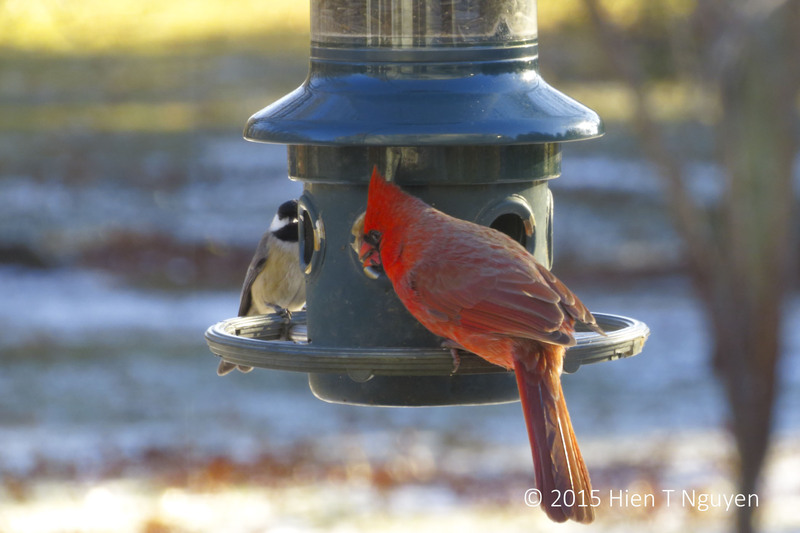 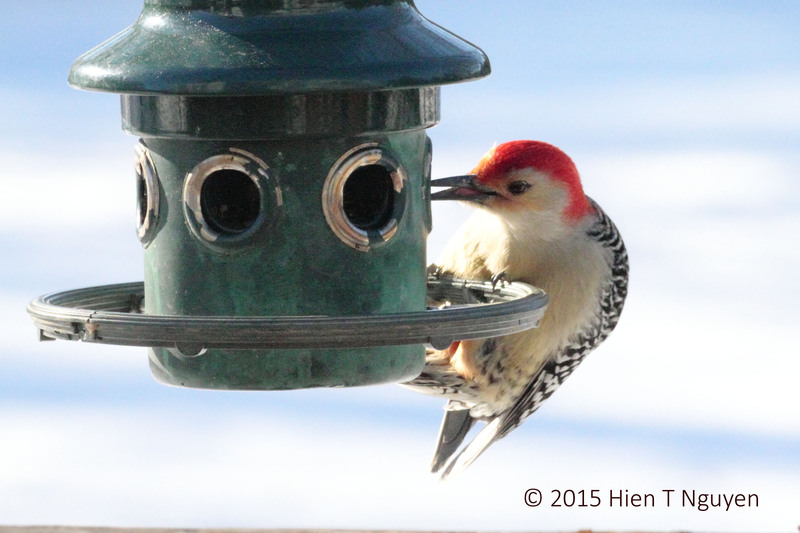 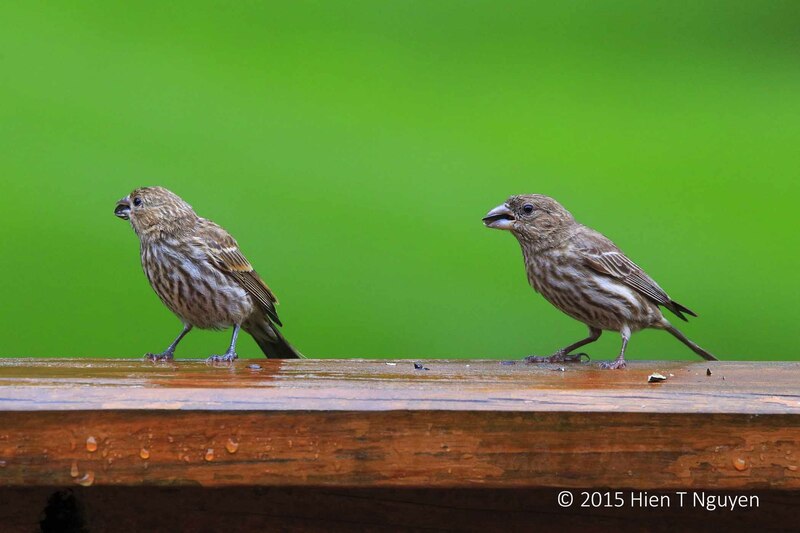 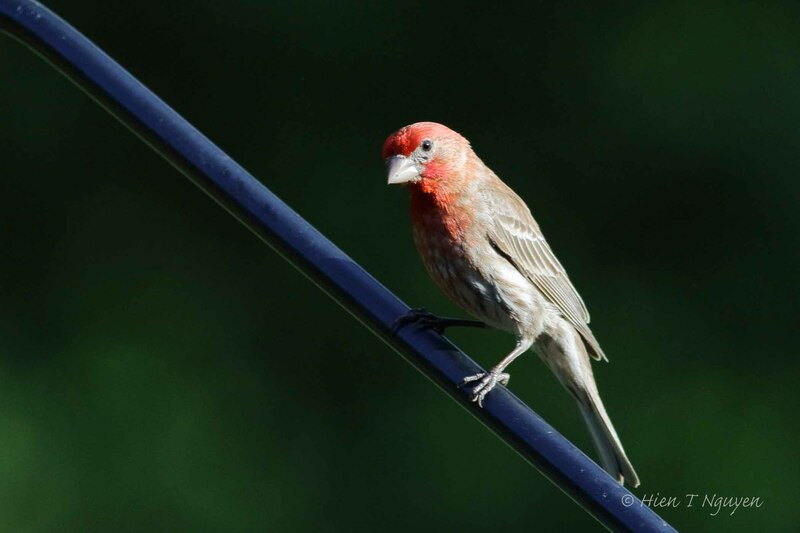 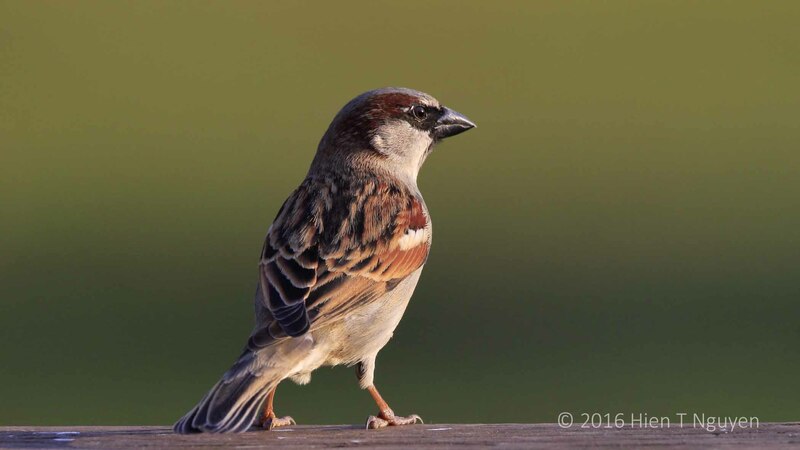 Many birds came to our bird feeder, restocked since yesterday with sunflower seeds. 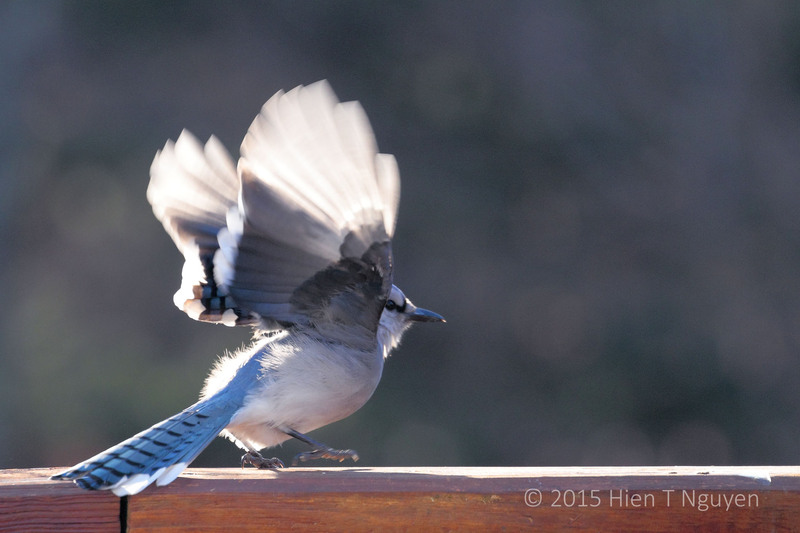 I tried opening our patio door a crack to take some photos, and the wind blew snow right into my lens hood! 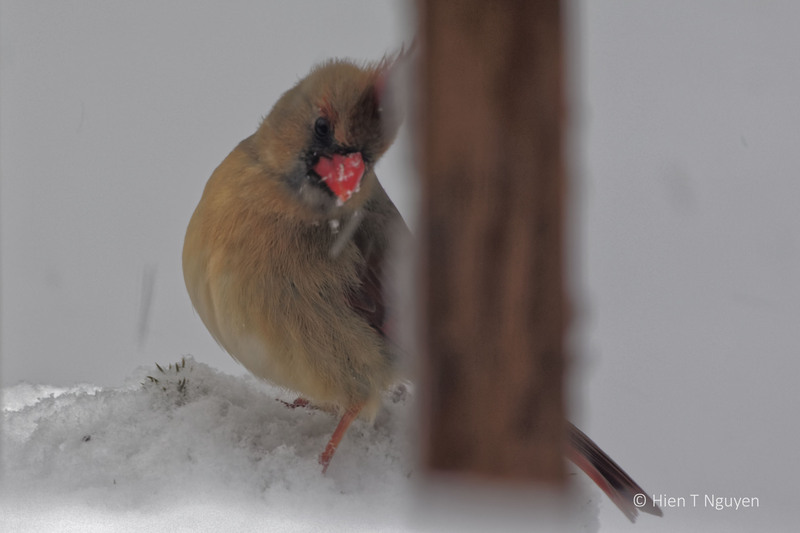 Finally I had to take the following photo of a cardinal through the glass door. 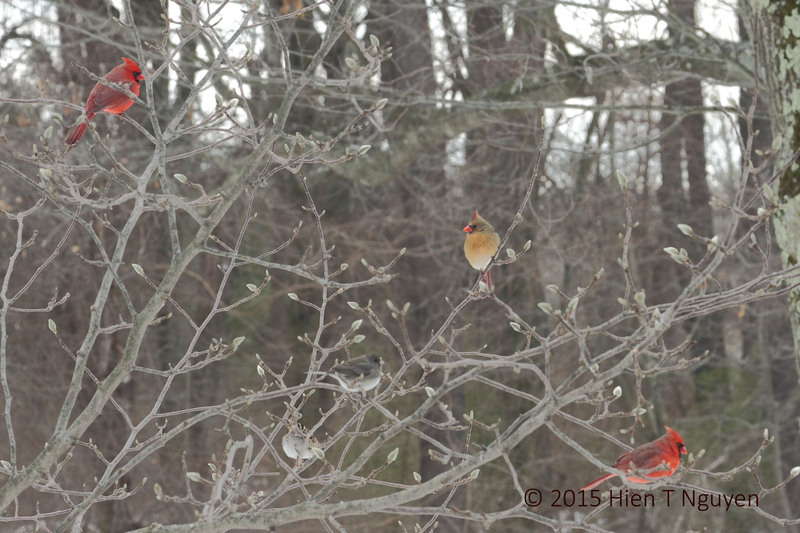 Lighting was bad of course, but you get an idea of what is was like for the birds. 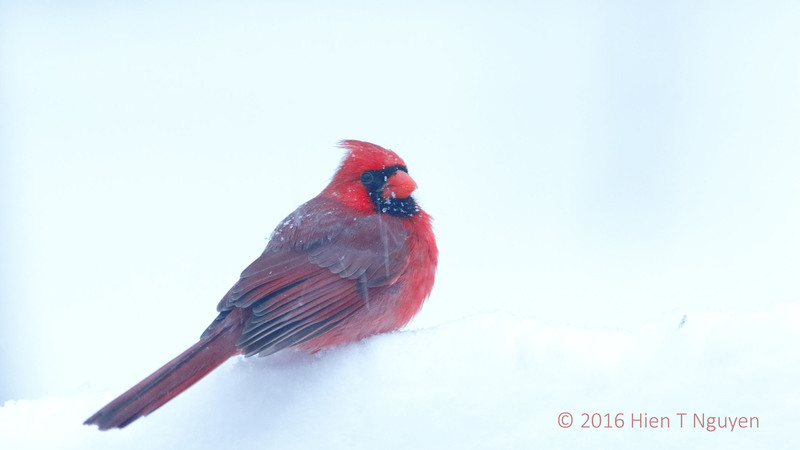 Cardinal in blizzard of 2016. 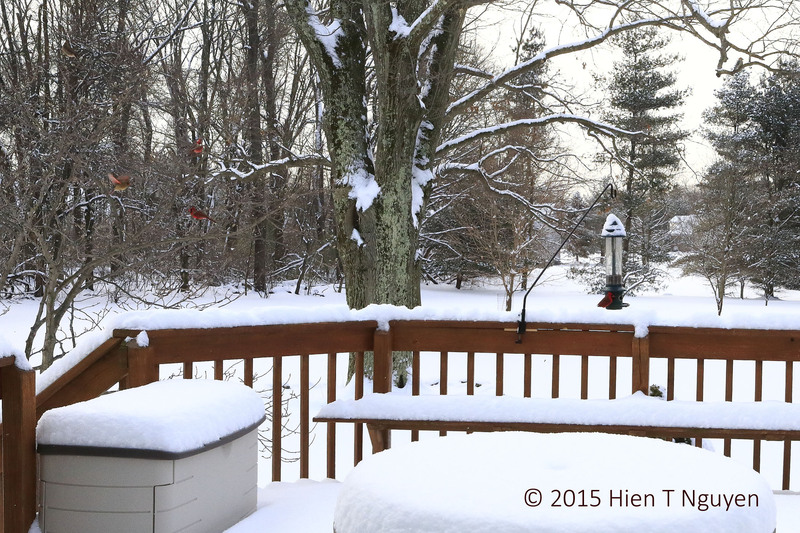 Yesterday we got some more snow, not as much as further up North, only about 3 inches. 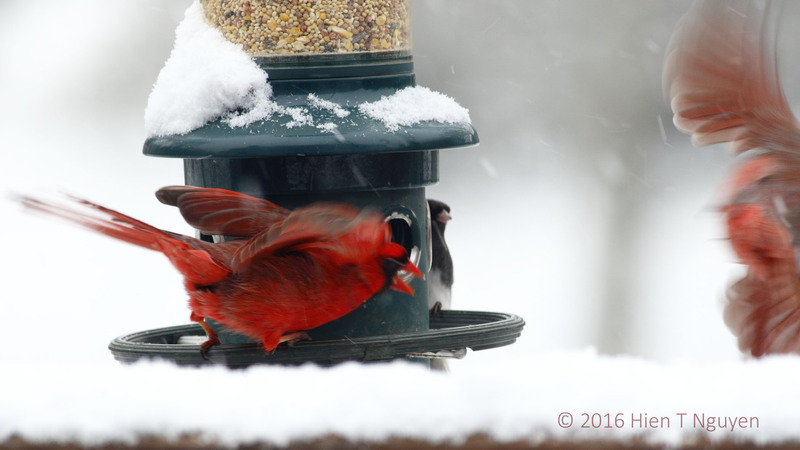 The Cardinals were mobbing the bird feeder and at one point I saw three beautiful red ones on the magnolia tree next to the feeder. 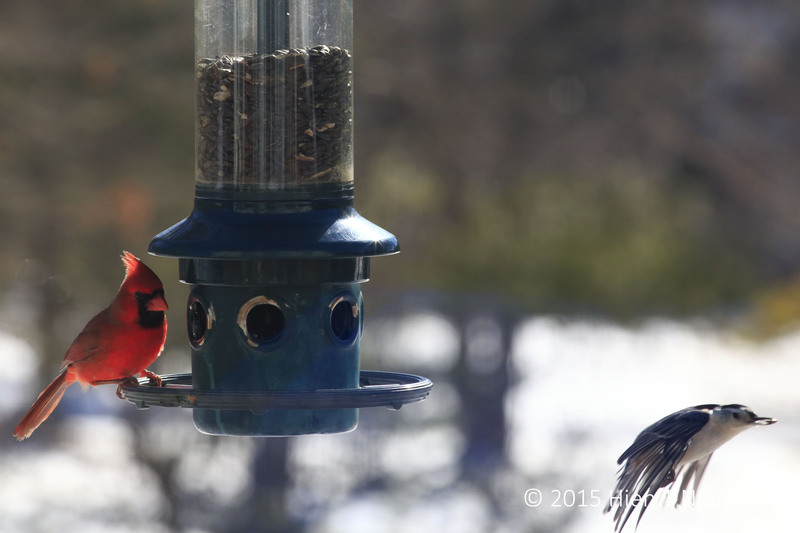 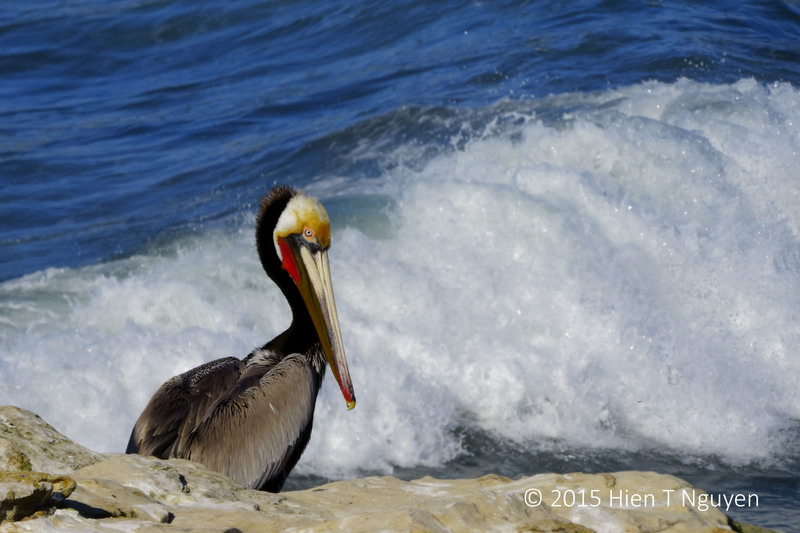 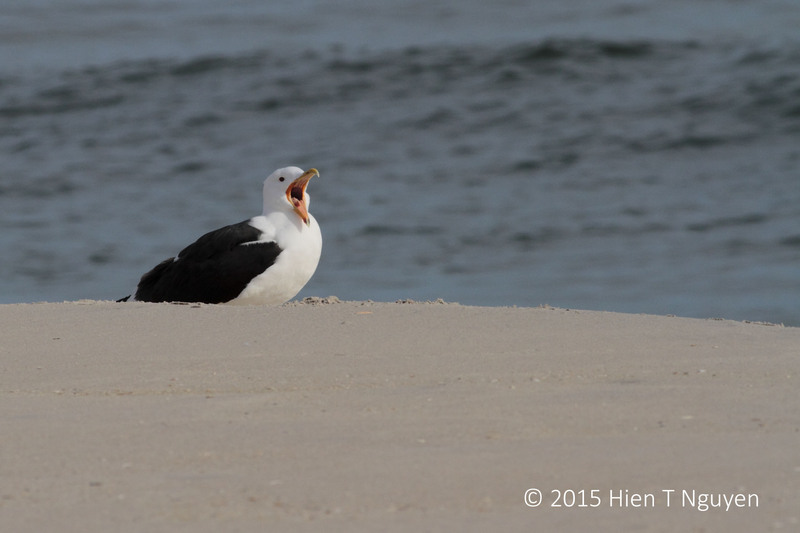 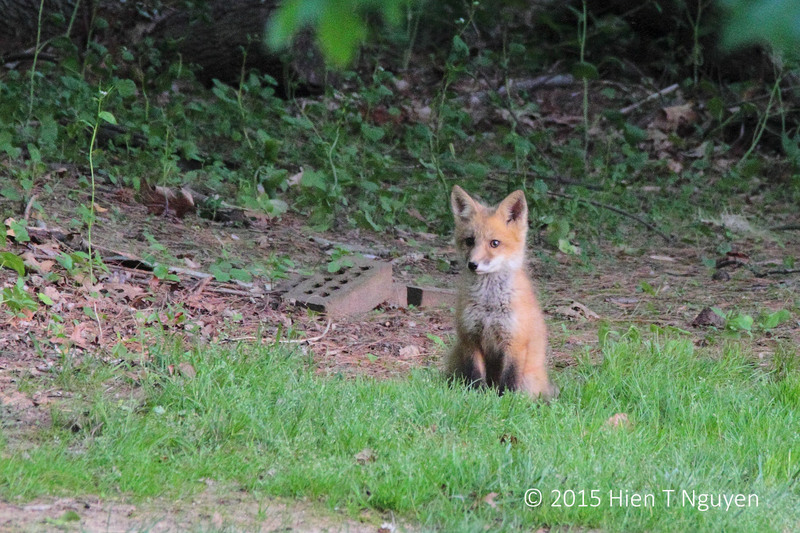 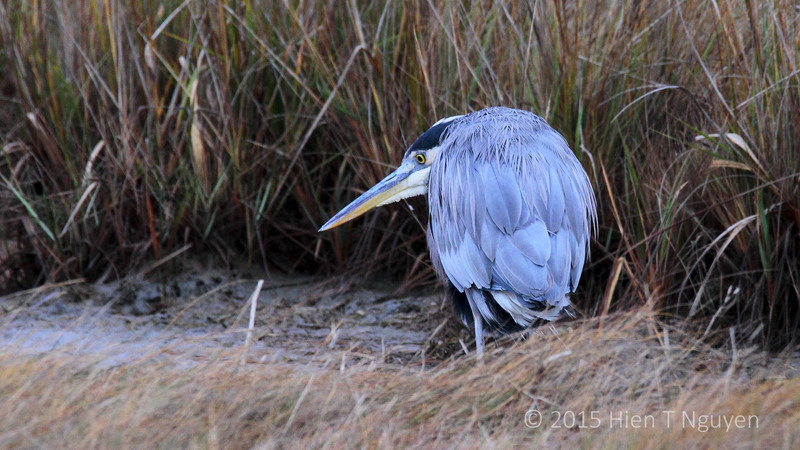 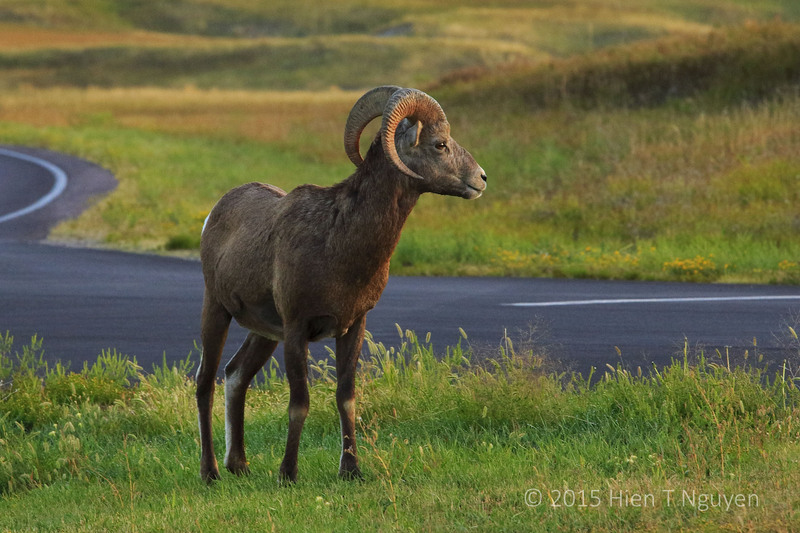 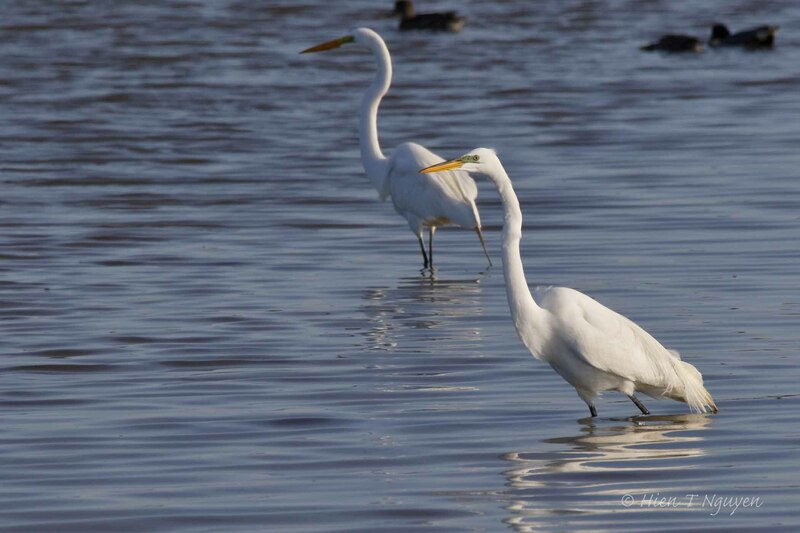 With the long zoom lens, I only managed to frame two of them in one shot. 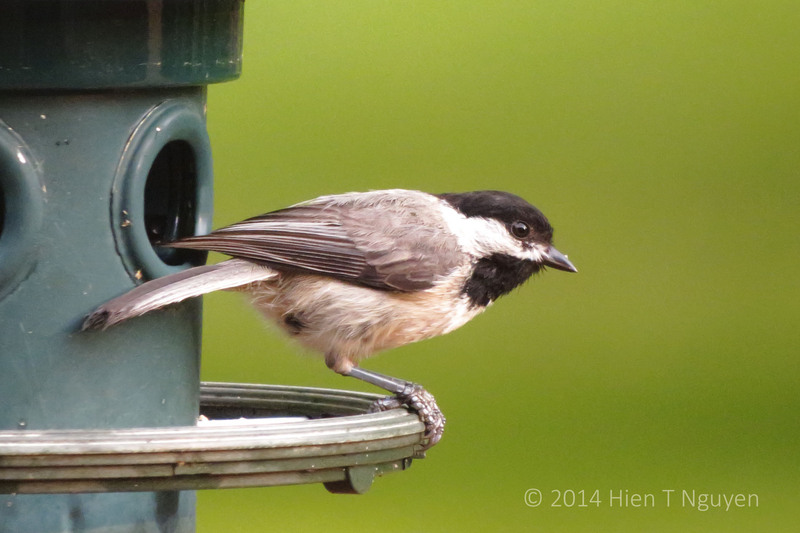 Earlier in the day, I was aiming at another one. 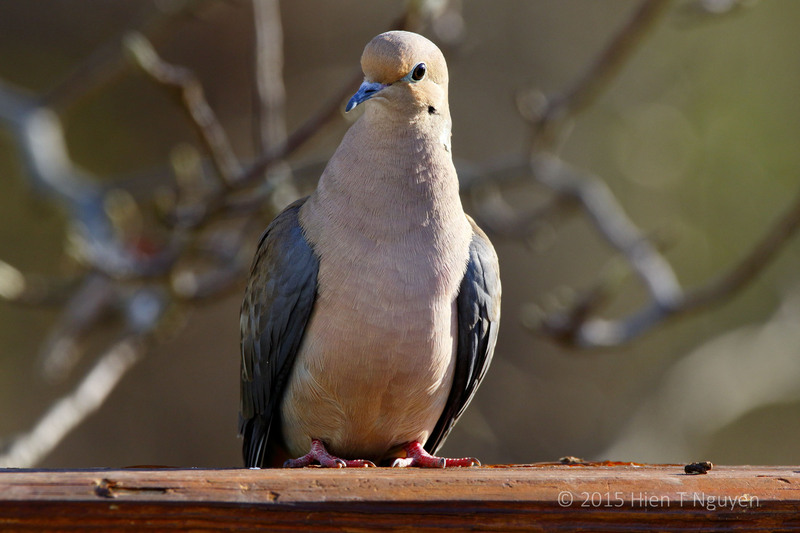 Just as I clicked, it dove toward the feeder. 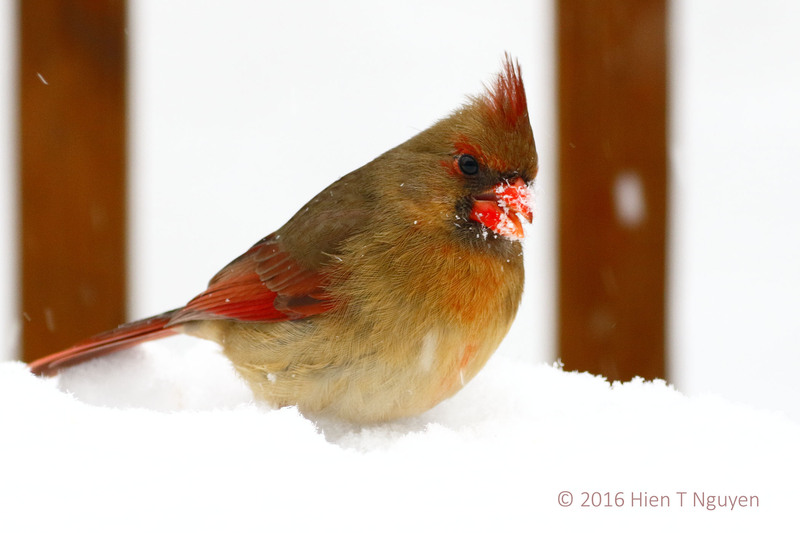 Under our deck’s bench, this male Cardinal was eating sunflower seeds spilled onto the snow when I filled up the bird feeder. 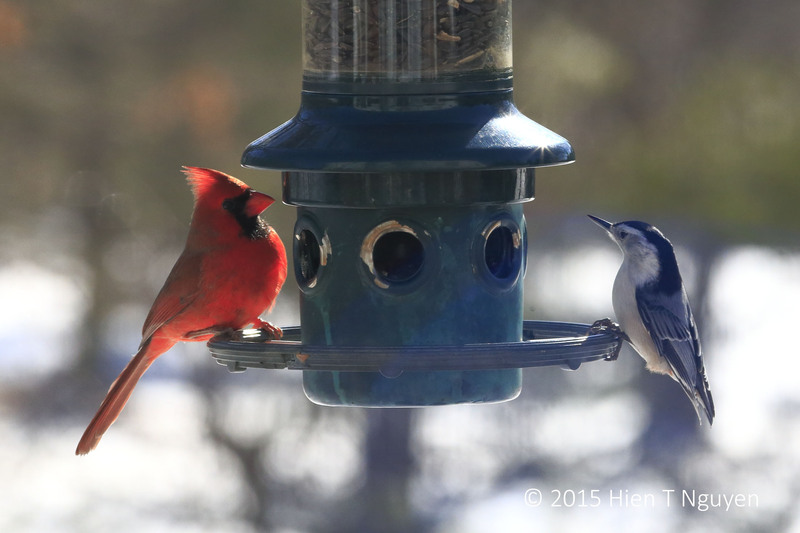 Even though it was still fairly cold, the sun was out today, allowing me to take advantage of the good light falling on three regular visitors to our bird feeder. 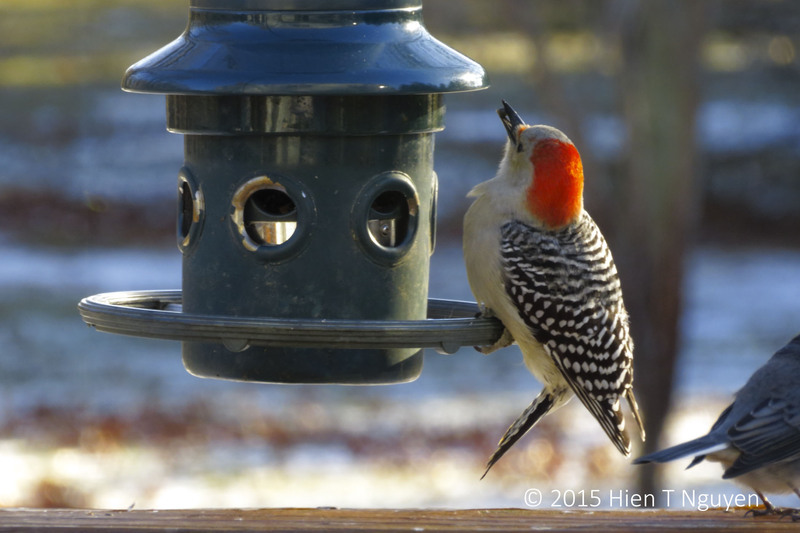 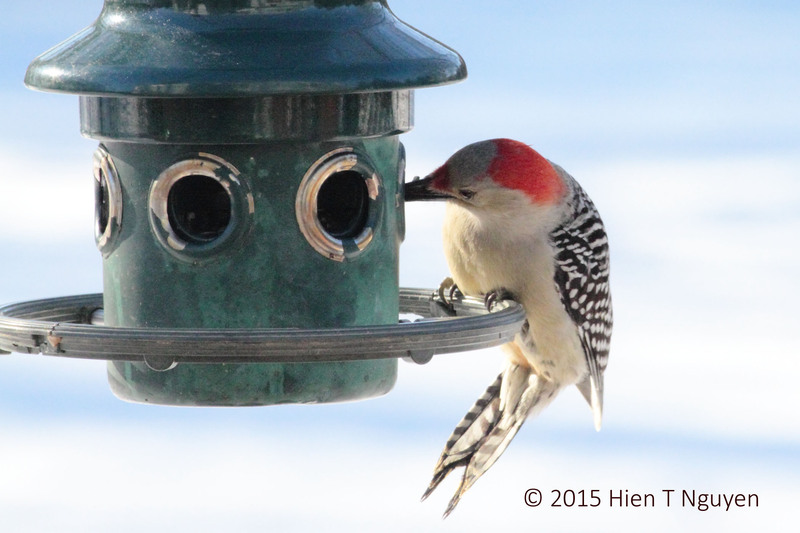 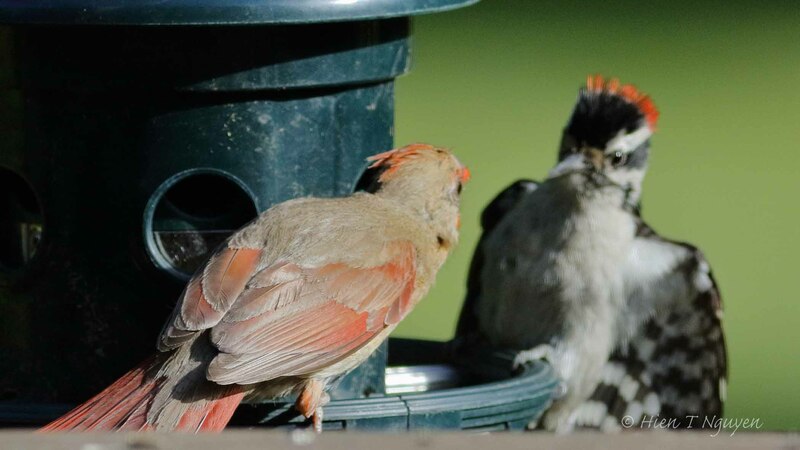 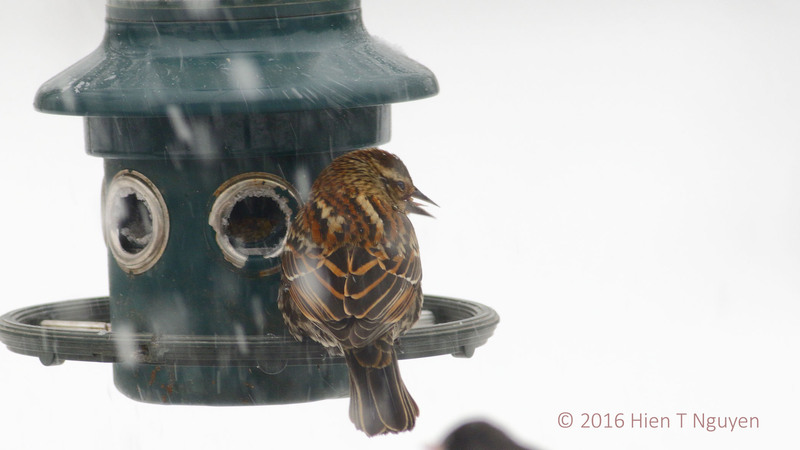 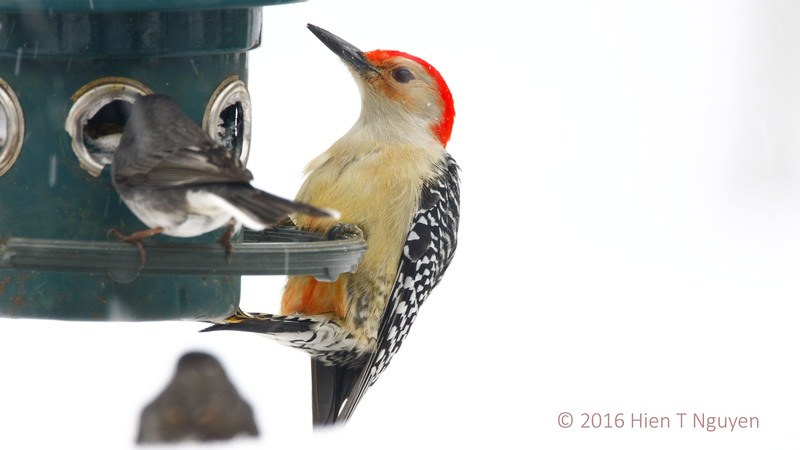 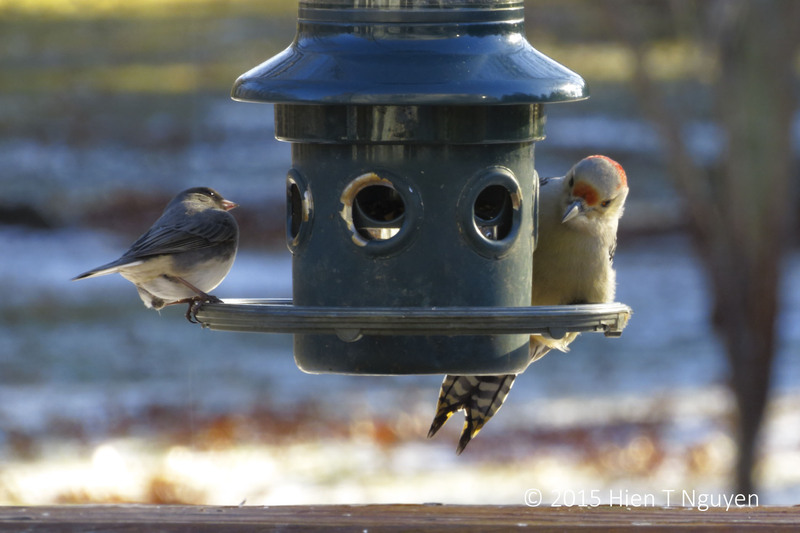 This morning, on the first day of 2015, many birds came to our back yard, apparently quite hungry as they emptied more than half of our large feeder in just a few hours. 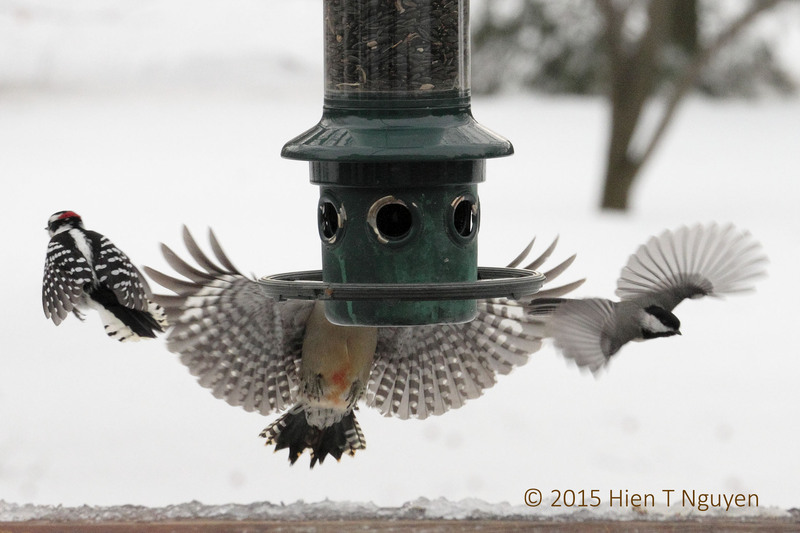 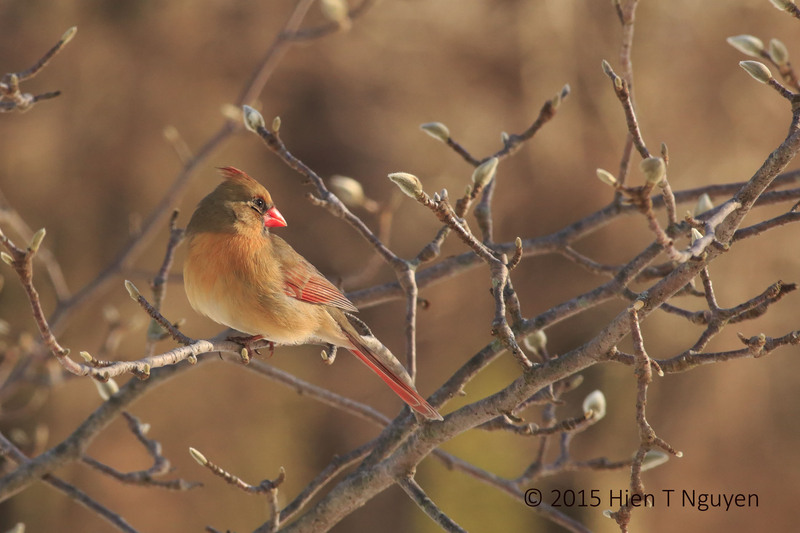 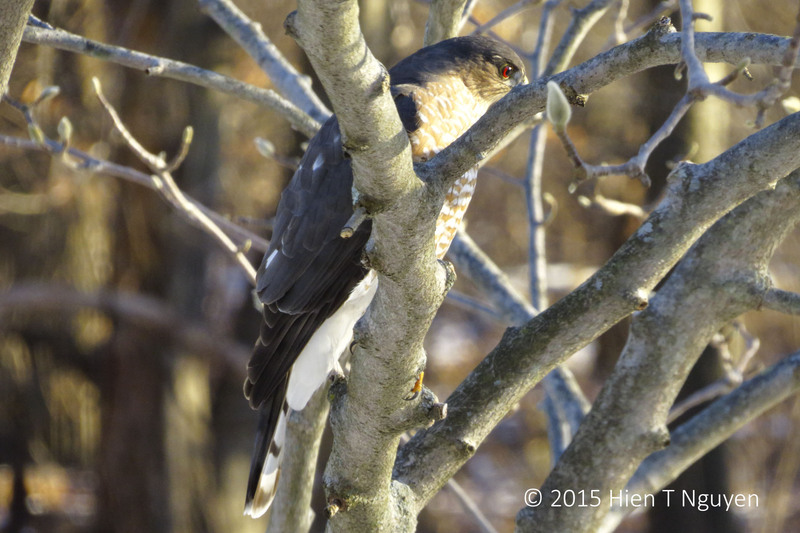 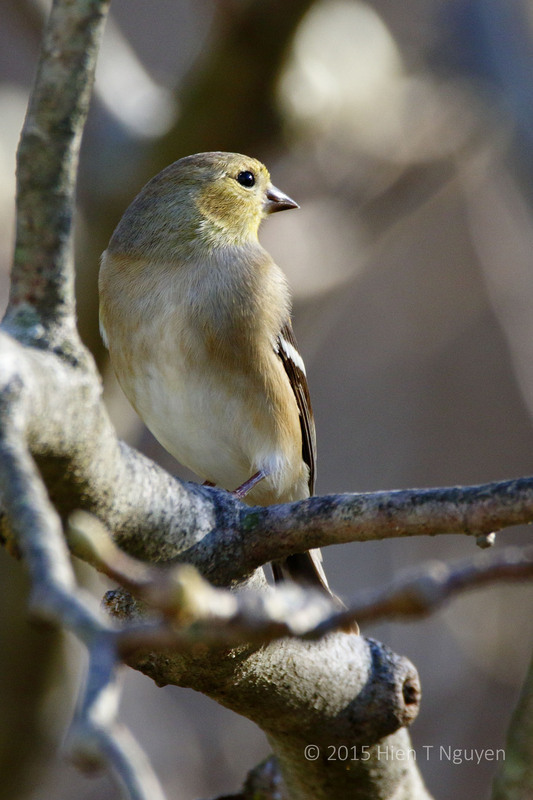 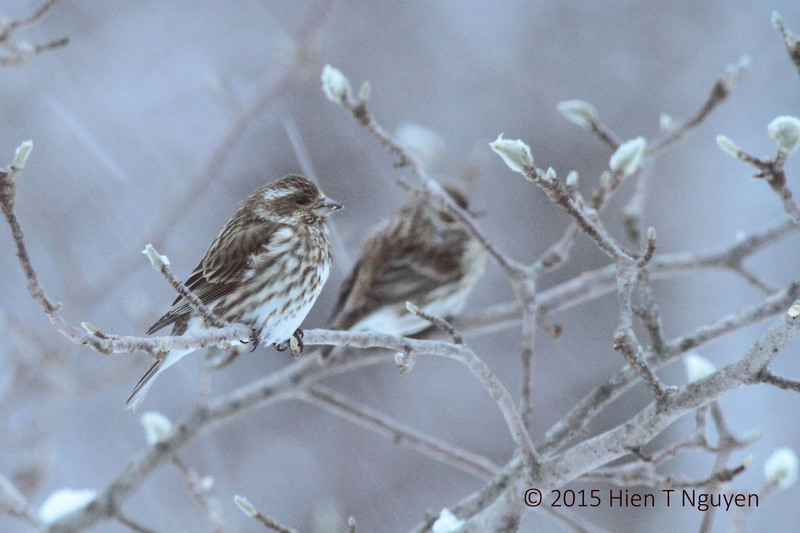 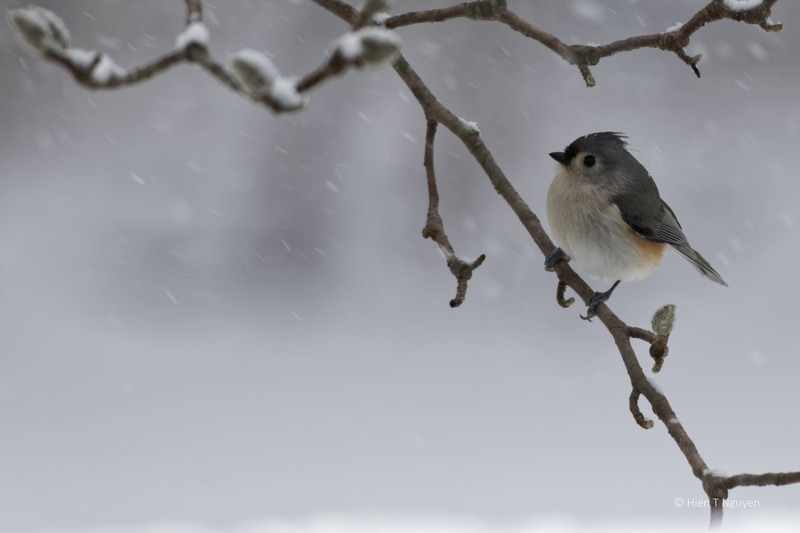 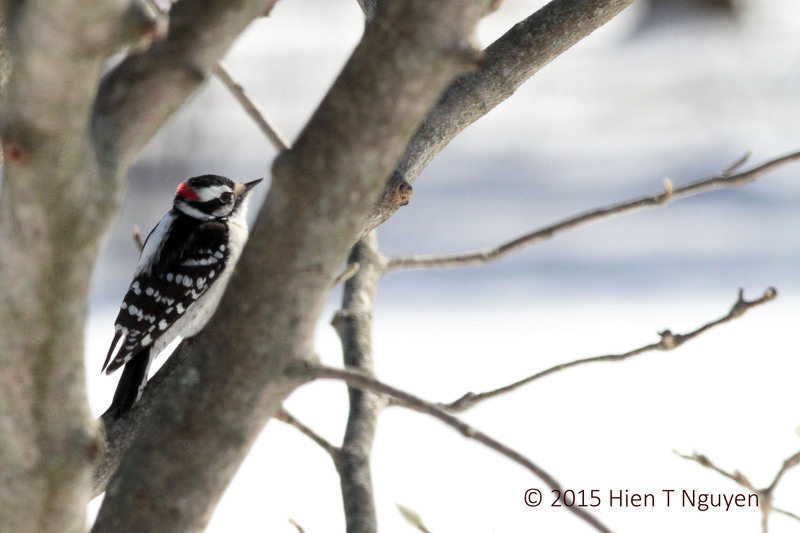 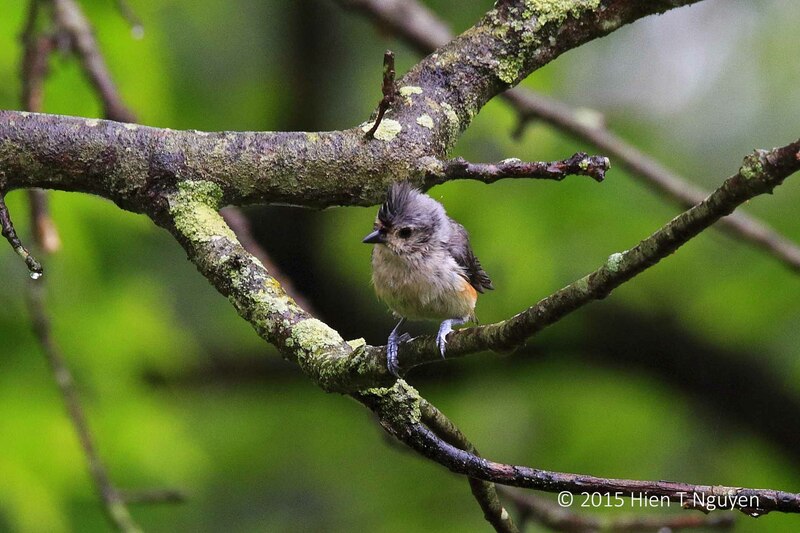 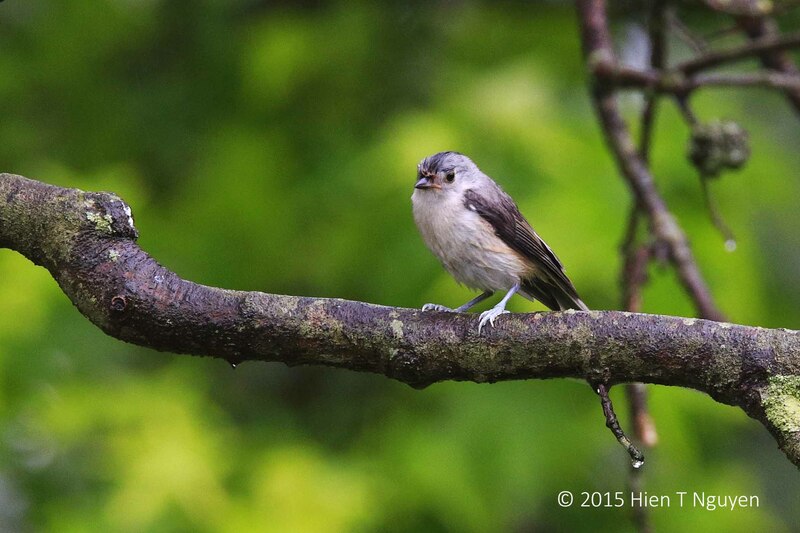 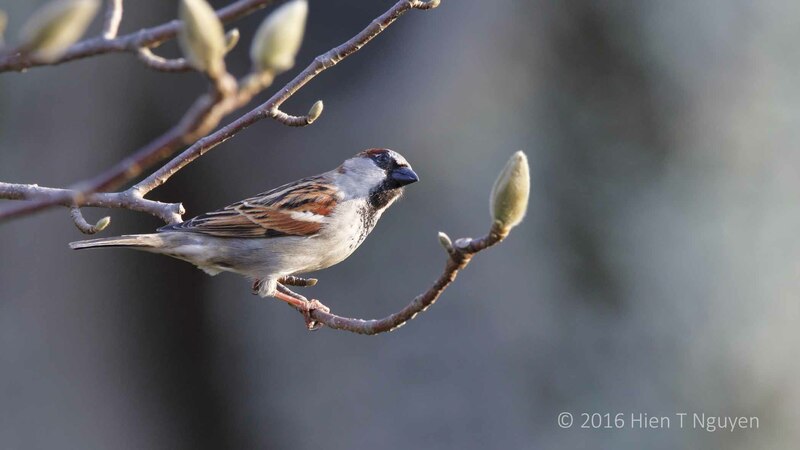 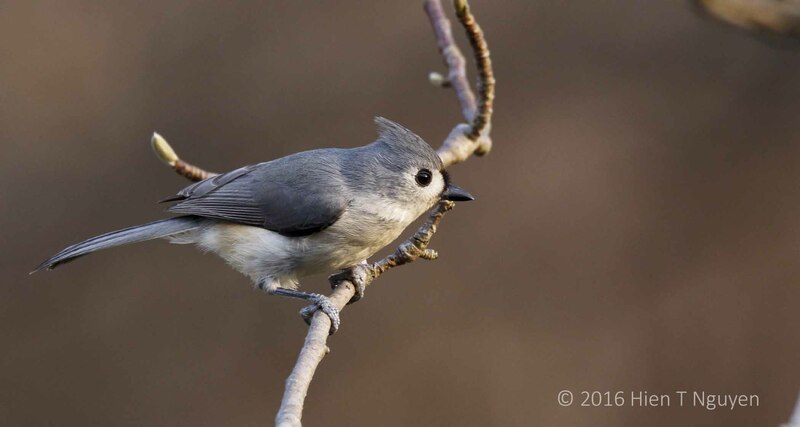 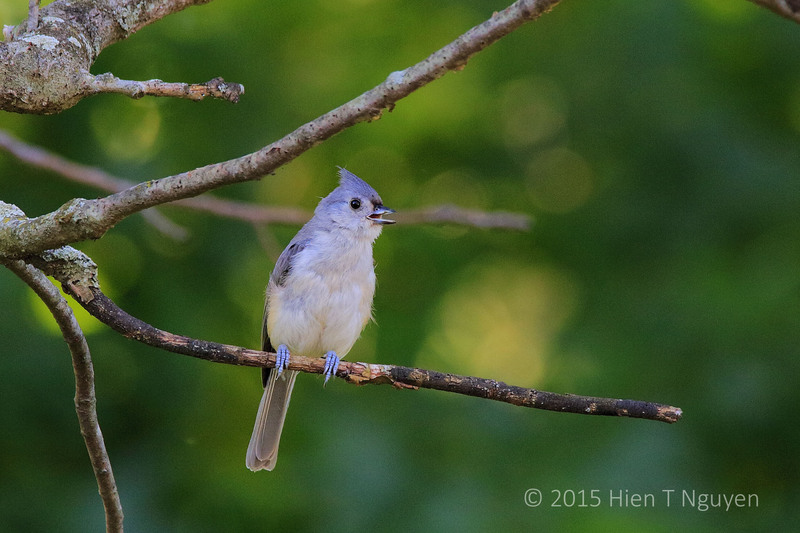 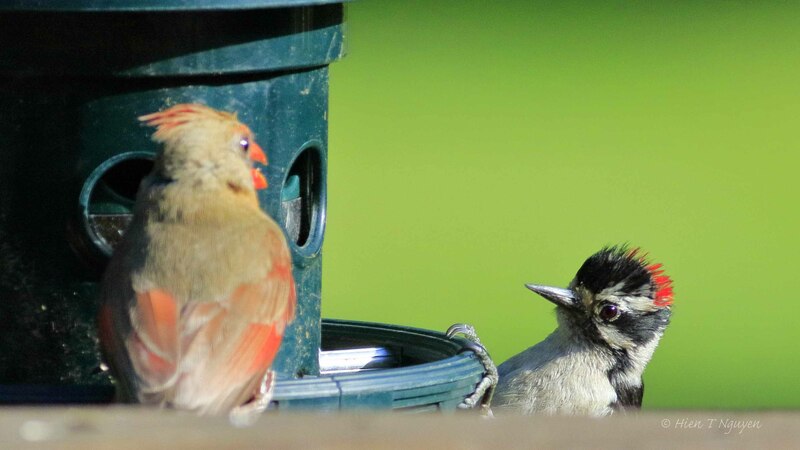 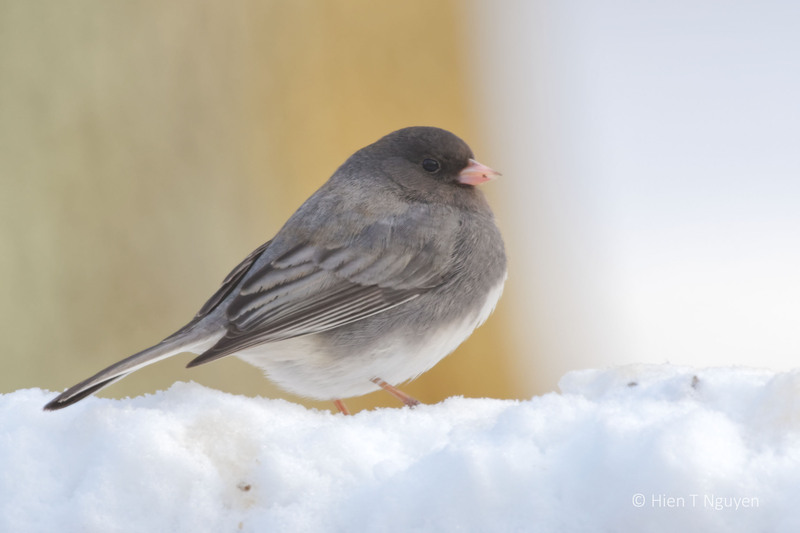 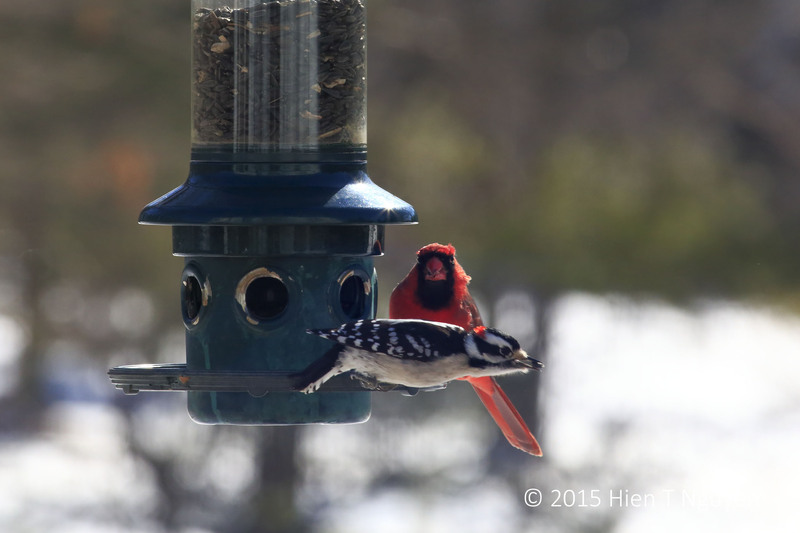 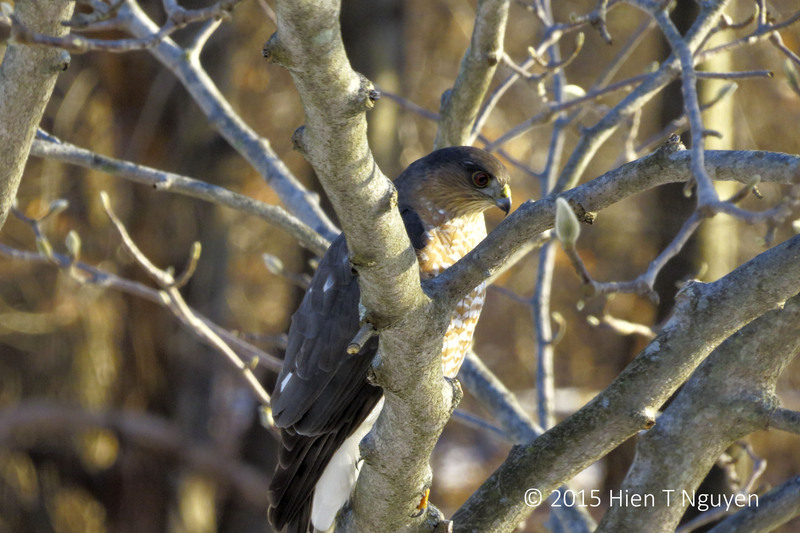 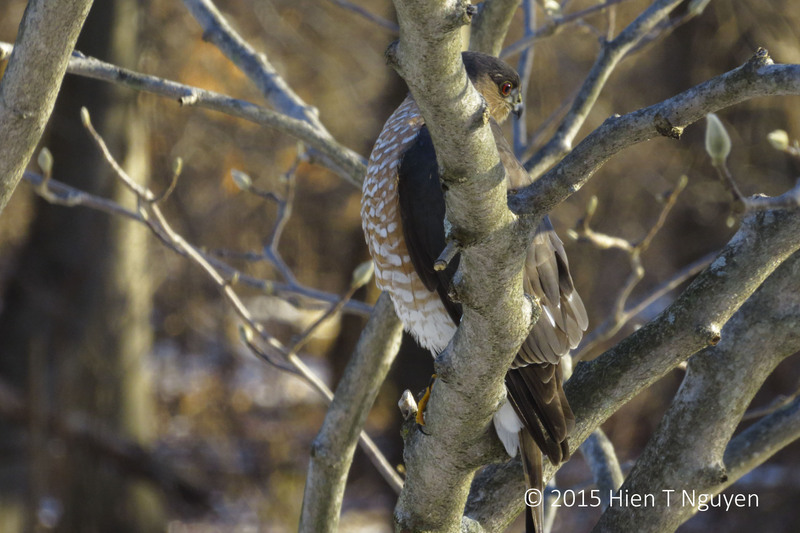 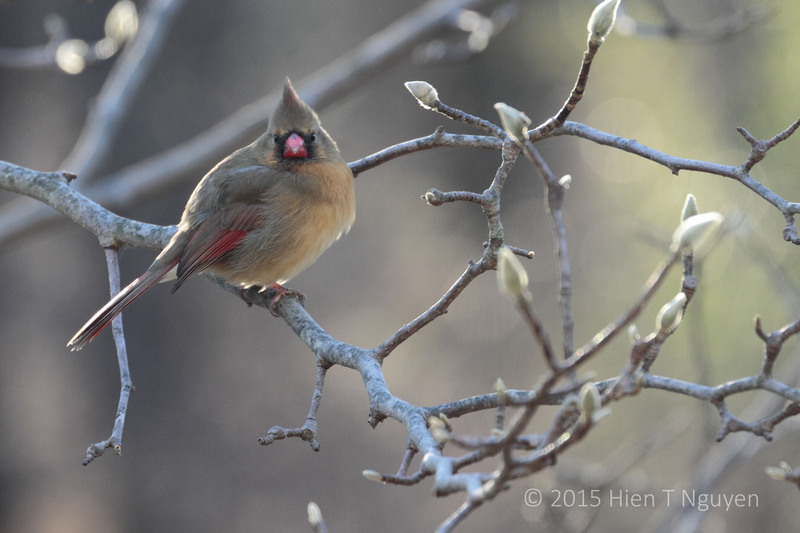 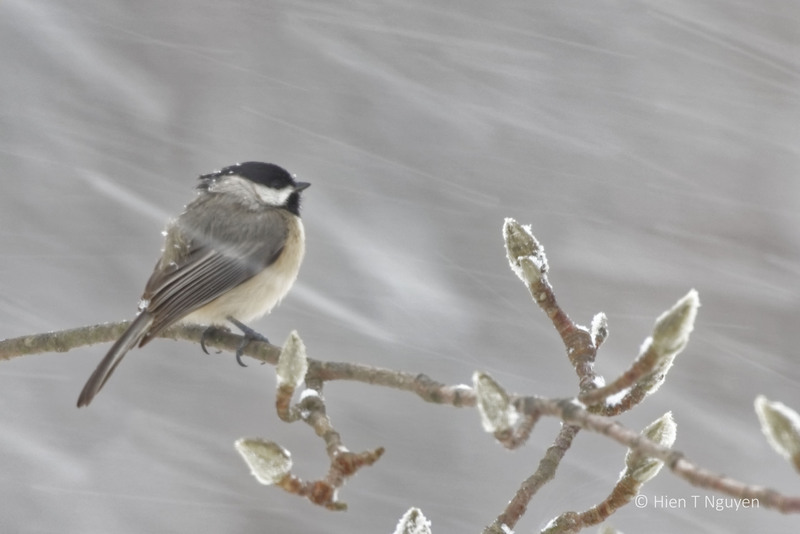 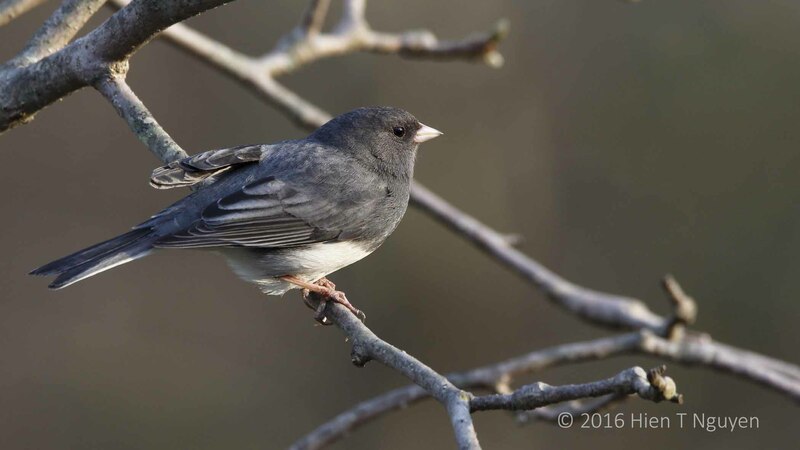 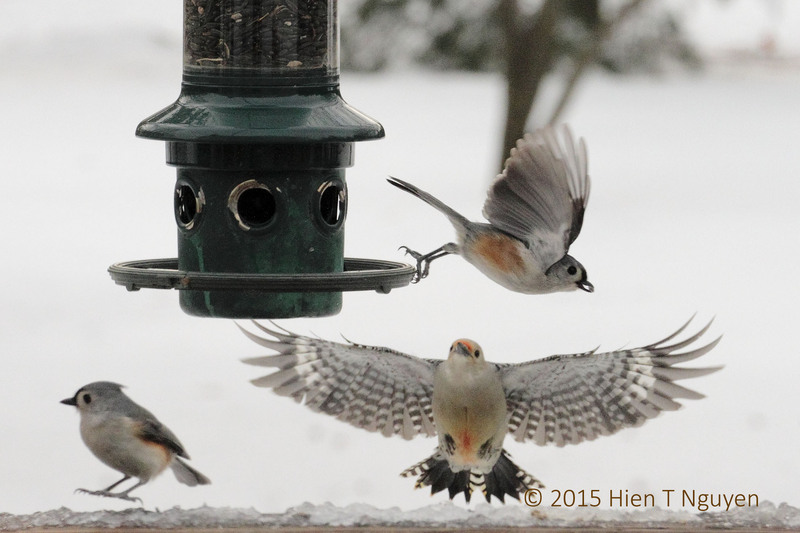 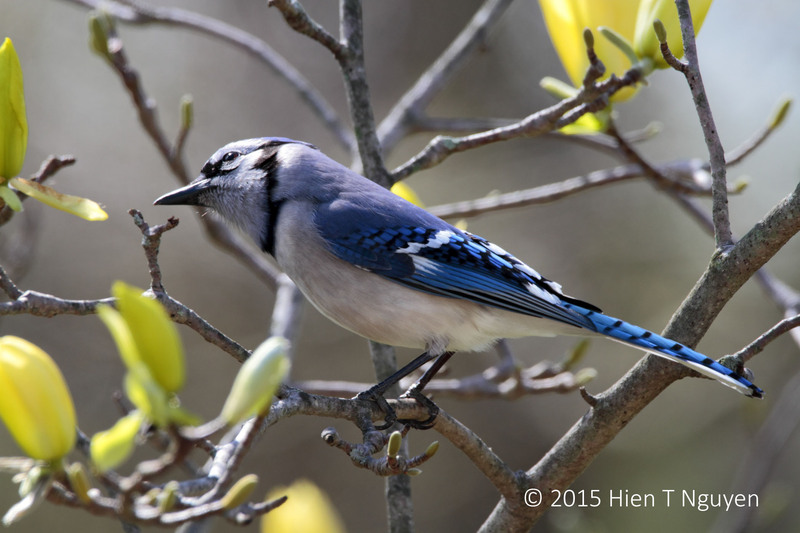 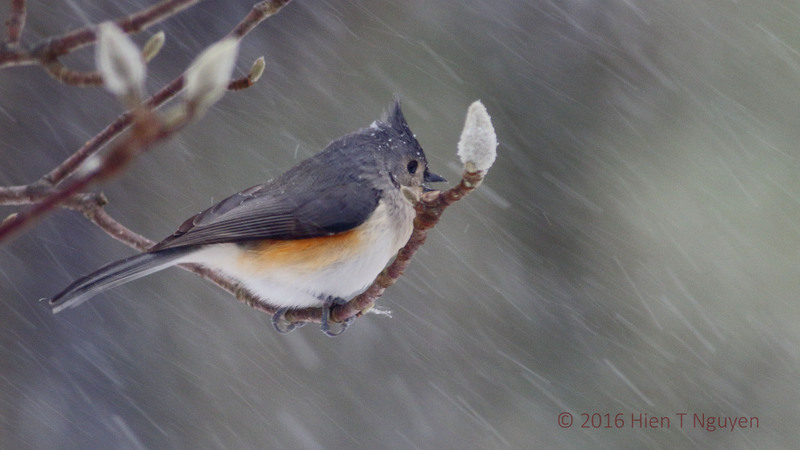 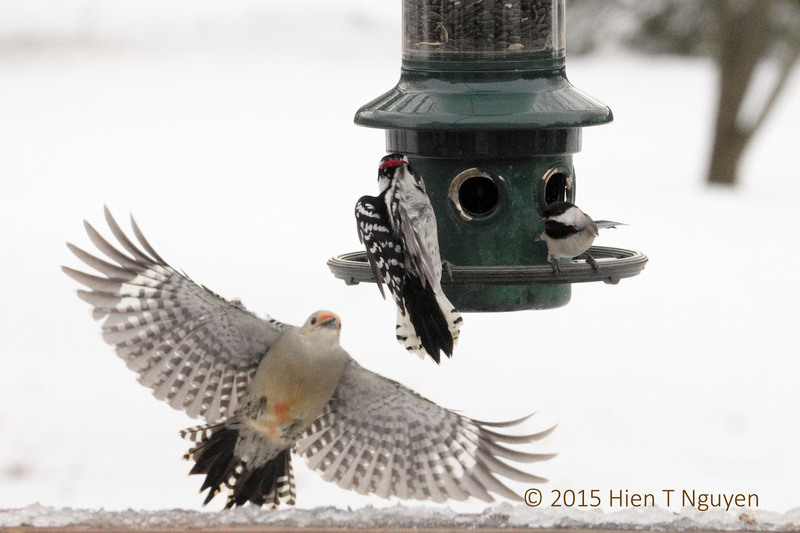 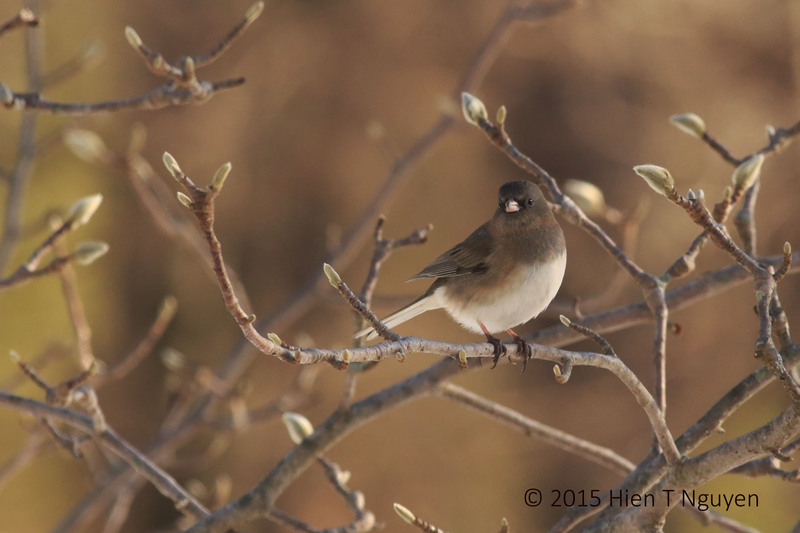 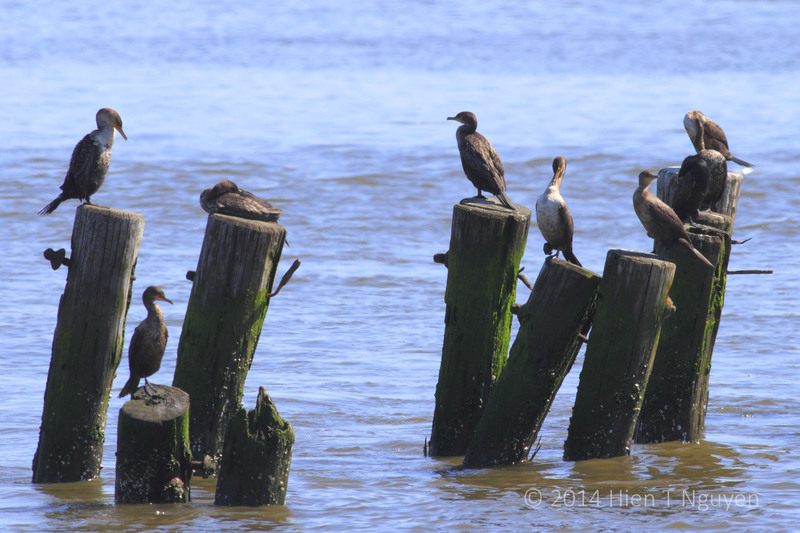 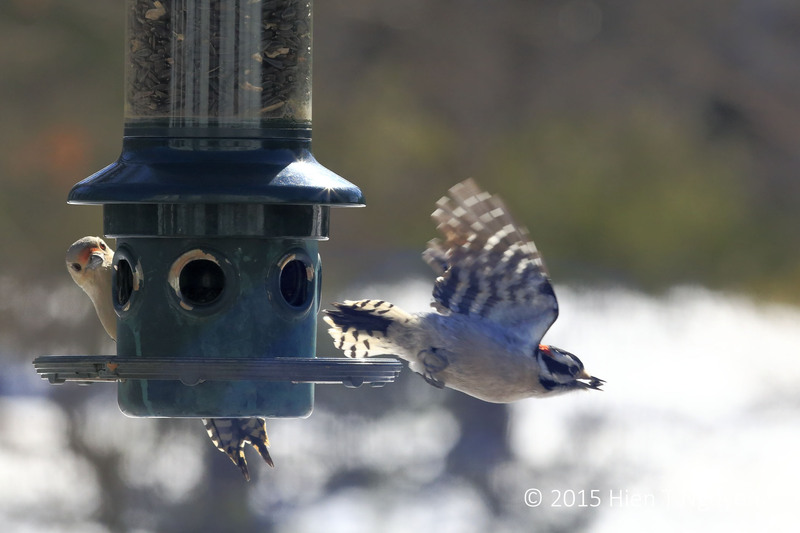 There were chicadees, titmice, blue jays, cardinals, juncos, and maybe others as well. 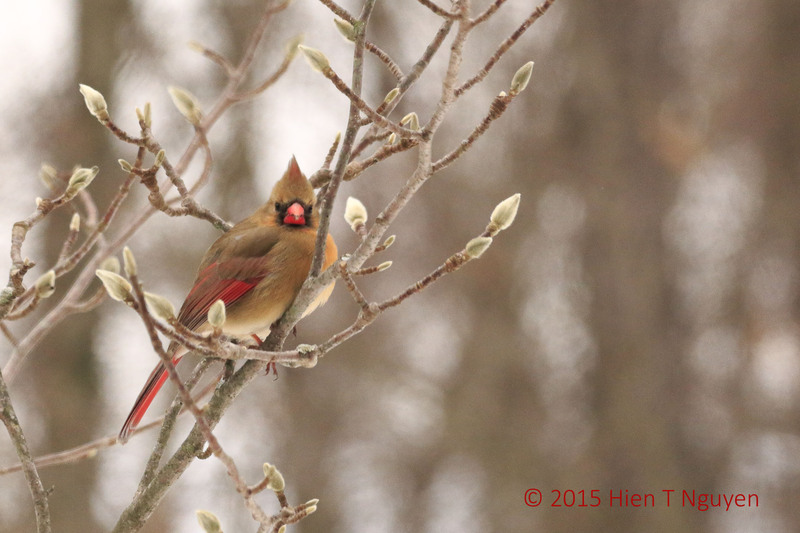 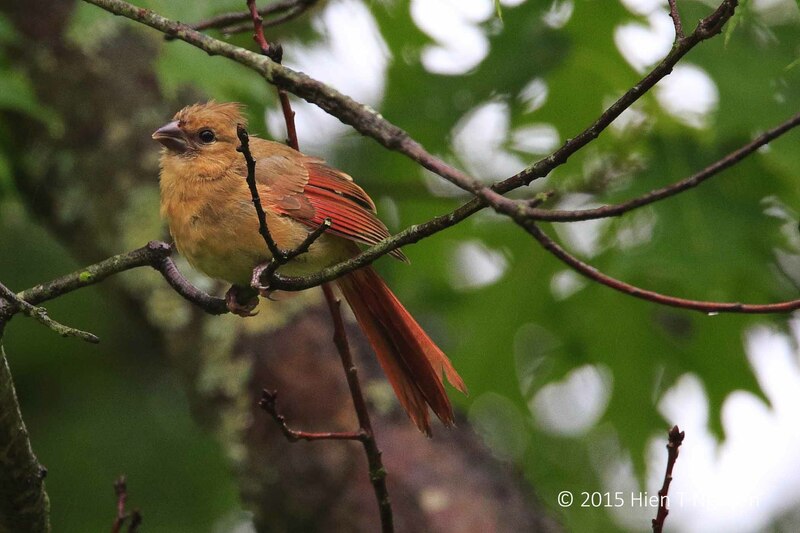 A pretty female cardinal perched on the yellow magnolia tree and looked at me curiously as I took the following shot. 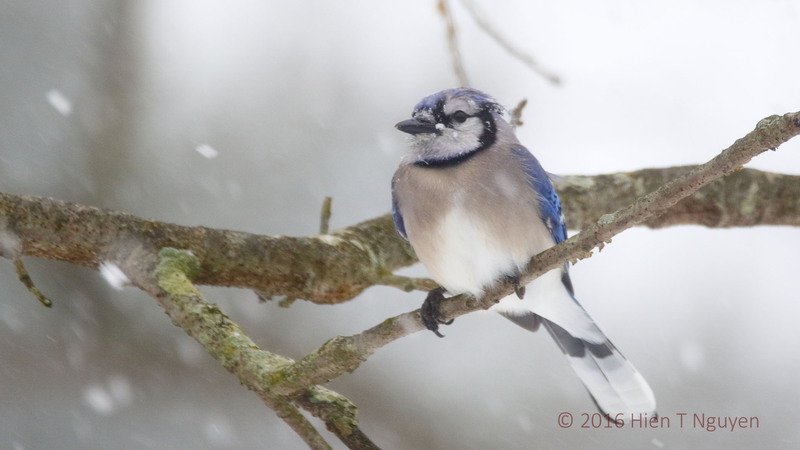 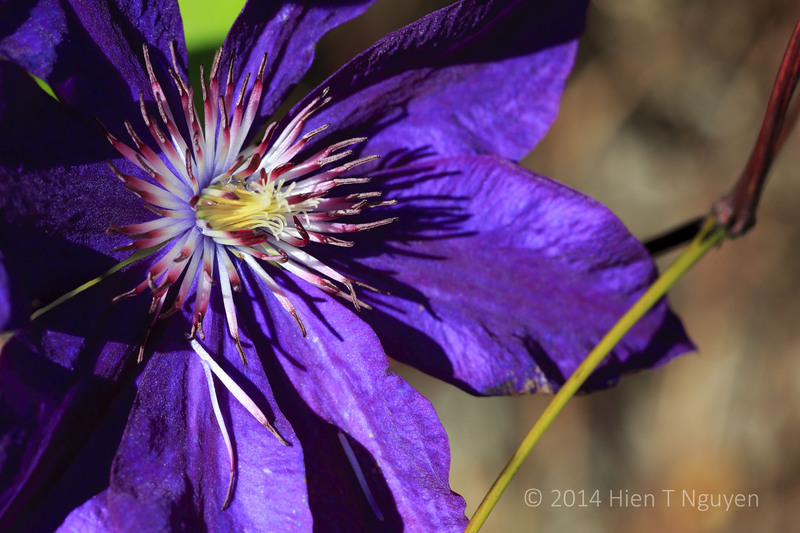 Later on, a blue jay landed then took off almost immediately. 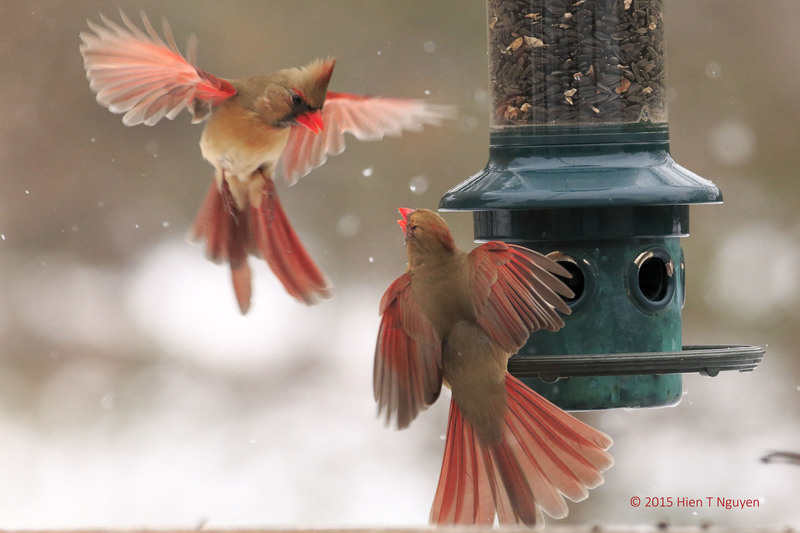 I barely had time to take this shot.